Venice (Italian: Venezia; Venetian: Venexia) is a sanctuary on a lagoon is virtually the same as it was 600 years ago, which adds to the fascinating character. Venice has decayed since its heyday and is heavily touristed (there are slightly more tourists than residents), but the romantic charm remains. It is also known as the birthplace of composers Tomaso Albinoni and Antonio Vivaldi. Venice and its lagoon are a UNESCO World Heritage site. It used to be an independent republic, and remains one of Italy's most important cities. The comune (municipality) of Venice is made up of numerous islands in the Venetian Lagoon as well as a stretch of terraferma (mainland) in northern Italy. The comune is divided into six boroughs, the most famous of which (known as Venezia Insulare) comprises the historic city of Venice as well as the islands of Giudecca, Murano, Burano, Torcello, Mazzorbo, and Sant'Erasmo. Lido and Mestre are other popular areas of the comune. The historic city is divided into six sestieri (districts): Cannaregio, Castello, Dorsoduro, San Polo, Santa Croce, and San Marco, where the main monuments and sights are. Each sestiere uses separate house numbers, however, they are not allocated in a specific pattern. The Most Serene Republic of Venice dates back to 827, when a Byzantine Duke moved its seat to what is now known as the Rialto, and for the following 970 years, it prospered on trade (especially from the Silk Road) and under the rule of a Roman-style Senate headed by the Doge. Eventually, the Republic of Venice grew into a powerful city-state, and the cradle of Italian renaissance. In the late 15th century, the Ottoman Empire's expansion around the Mediterranean, new routes on the high seas shifted commerce to the Atlantic, demoting Venice's political status. The city remains a centre for the arts. One of the significant events in the history of Venice was the opening of the first public opera house in 1637, which allowed members of the general public (those who could afford to pay for the tickets) to enjoy what was once court entertainment reserved for the aristocracy, thus allowing the genre of opera to flourish. Venice was an important destination of the Grand Tour from the 17th century. In 1797, the city was conquered by Napoleon, a blow from which it never recovered. The city was soon absorbed into Austria-Hungary, then ping-ponged back and forth between Austria and a nascent Italy, but Venice is still a monument to the glory days of the Renaissance, and historical culture still throbs powerfully in the old Italians' veins. July and August may be the worst time to visit: it's sometimes very hot and often humid, there are mosquitoes and occasional infestations of flies, and there are a lot of tourists and large crowds anywhere you go. Spring and autumn are probably best, a compromise between temperature (expect 5-15°C in March) and the tourist load. Between November and January, you may manage to feel you have Venice all to yourself, an interesting and quiet experience. Beware of the weather during the winter months: it can be quite cold, windy, and damp. Fog is an additional hazard if you are driving in or out, doubly so in the unlikely chance that you will pilot a boat. But if you've never been to Venice, it's better to go in summer than not to go. You won't regret it. Many cities are far worse in summer, and Venice has no cars, hence no smog. Acqua alta (high water) has become a fact of life in Venice. The lagoon water level occasionally rises above the level of the squares and streets, flooding them. This can happen several times a year, at irregular intervals, usually in the colder months. Acqua alta usually lasts a few hours and coincides with high tide. You'll see raised walkways in side alleys ready to be pulled out when acqua alta hits. When the city begins to flood, sirens will sound to warn residents and businesses. If you speak fluent Italian, tune into news programs since their predictions of the times the flood begins and ends are usually accurate. Normally, the tide rises and falls in six-hour cycles. You can get an acqua alta map at the tourist offices either at the railway station or St Mark's Square. This will show you the higher, dry routes and the ones with walkways set up during the various flood alerts. There is a tide measuring station at the Rialto vaporetto piers, and a noticeboard at the base of the Campanile in the Piazza San Marco that shows a live tide reading and predictions for the next few days. 1 Marco Polo Airport (VCE IATA) (on the mainland near Mestre (a more typical Italian city, without Venice's unique structure)). This is the closest commercial airport. There are direct flights to and from Amsterdam Schiphol, Atlanta Airport, Barcelona El Prat, Basel, Belfast, Berlin, Bilbao, Birmingham, Bordeaux, Brussels, Bucharest, Casablanca, Chisinau, Cologne-Bonn, Copenhagen Airport, Doha, Dubai, Dublin, Dubrovnik, Düsseldorf, Edinburgh, Eindhoven, Frankfurt Airport, Geneva, Glasgow, Hamburg, Istanbul, Leeds Le Havre, Lille, Lisbon, London, Luxembourg, Madrid, Manchester, Mars Alam, Marseilles, Metz, Montreal, Moscow, Munich Airport, Mykonos, Nantes, New York. Newcastle, Nice, Oslo, Paris, Philadelphia, Prague Pristina, Riga, Southend, St.Petersburg, Sharm el-Sheik, Stuttgart, Timisoara, Tirana, Toronto, Toulose, Tunis, Vienna, Warsaw and Zurich as well as domestic flights to and from Bari, Brindisi, Cagliati, Catania, Lamzea Terme, Naples, Olbia, Palermo, Reggio Calabria and Rome. After security the airport is flooded with expensive Wi-Fi. The trick here is to go up to the second floor (food court), on the left (looking from the front) escalator, and set camp near the left wall. You will be next to the Alitalia lounge, where Wi-Fi is free (the network SSID is "RDN for Alitalia"). The closer you are to the wall, the better the reception, but even that little nook with a couple of tables (grab an espresso at the counter before sitting down - it's very passable and not outrageously expensive) should be within range. ATVO operates airport shuttle expressbus 35 service from Piazzale Roma to Marco Polo Airport between 04:20 and 23:30 every day and from Marco Polo Airport to Piazzale Roma between 05:20 to 00:50 every day. The trip in a coach bus with luggage stowed underneath takes about 20 minutes. ATVO ticket price is €8 one-way and €15 return, luggage included. Tickets can be bought at the airport from the automatic ATVO ticket machine in the arrivals baggage hall, at the ATVO ticket counter in the arrival hall (open from 08:00 to 23:45, tel +39 042 1594672) and from the automatic ATVO ticket machine outside the airport on the ATVO departure platform. In Venice tickets can be bought at the ATVO ticket office in Piazzale Roma, near the Carabinieri station (tel +39 421 594 671), at automatic ATVO ticket machine outside the ticket office, at 'Chiosco di Pluff' newsagent in the center of the square 5 m from the departure point for the buses to San Marco Airport, at Botazzo Tobaconist's in Piazzale Roma, at the Novo Tour Agency in Piazzale Roma and at IEX Change Agency in St. Mark's Square under the Torre dei Mori. In Mestre tickets can be bought at ATVO ticket office in Via Capuccina 183, near the railway station (tel +39 421 594 673), at automatic ticket machine outside the ticket office, at Bar Binario, situated near the ticket office, at ATAV - Associazione Turistica Albergatori Venezia, inside the railway station or at 365 Grandi Biglietterie Agency inside the railway station. ACTV operates urban aerobus 5 service from Piazzale Roma to Marco Polo Airport on weekdays between 04:35 and 00:40 and during weekends between 05:40 and 00:40 and from Marco Polo Airport to Piazzale Roma on weekdays between 04:08 and 01:10 and during weekends between 04:08 and 01:10. The trip in a city bus takes about 23 minutes. ACTV ticket price for a 75-minute trip with water buses (vaporetti) and land buses starting and/or ending at Marco Polo Airport is €8 one-way and €15 return. One piece of hand luggage is included in the price. If you are willing to walk 1 km to save a few coins, walk to the Triestina Tessera stop and catch the same bus 5 (or some other routes) for €6. If you have a Venezia Unica card (see local transport), you can ride from that stop for €1.50. Alilaguna operates three water bus lines from the airport. Such a direct water bus from the airport may be more convenient than taking the bus to the bus station and then changing to the local water bus. To reach the boat jetty, turn left on leaving the terminal and walk 10 minutes along the covered walkway. Blue line (linea blu) runs from the airport to the Cruise Terminal (Terminal Crociere) via Murano, Fondamente Nove, Ospedale, Bacini, Lido, Arsenale, San Zaccharia, San Marco, Zitelle, Zattere and Giudecca Stucky. Boats leave from the airport every hour from 06:10 to 08:10 and from 20:15 to 00:15 and every 30 minutes between 08:45 and 20:15, boats leave from the Cruise Terminal every 30 minutes from 07:50 to 17:20. The boat trip from the airport to the city center (San Marco) takes about 90 min. This trip is very long and boring, so bring something to do. The trip from the airport to Murano takes 30 min. Orange line (linea arancio) connects the airport with Giglio via Madonna dell'Orto, Guglie, San Stae, Rialto, San Angelo and Ca' Rezzonico. Boats leave from the airport every 30 mins from 08:00 to 19:00. Boats leaving later in the evening go to Fondamenta Nove or San Marco only. Boats leave from Giglio from every 30 minutes from 6:48 to 19:48, later boats leave from San Marco only. Red line (Linea rossa) goes from the airport to Giudecca Zitelle via Murano Museo, Certosa, Lido and San Marco. This is a seasonal service and only operates between around April and November. Boats leave the airport every hour from 10:30 to 18:30 and San Marco every hour from 9:05 to 19:05. The ticket price from the airport to Lido, Venice or Cruise Terminal is €15 one way (€8 IMOB smart card) and €27 return. Airport to Murano costs €8 one way (€4 IMOB) and €15 return. There are also tourist tickets which are valid for 24 hours (€30), and for 72 hours (€65). All tickets can be purchased online. The water bus services from the airport are operated by a different company (Alilaguna) than the other public water bus services in Venice, so separate tickets will be required. From the same jetty, you can travel in style (and much faster) by hiring one of the speedy water-taxis (30 min) for about €110. The Treviso Airport (TSF IATA), located 25 km (16 mi) from Venice near Treviso, is relatively smaller but becoming increasingly busy as the main destination for Ryanair, Wizzair, and Transavia budget flights. There are flights to Treviso Airport from Barcelona, Bremen, Brussels. Bucharest , Charleroi, Chisinau, Cluj, Dublin, "Düsseldorf" Weeze, East Midlands, Eindhoven, "Frankfurt" Hahn, Iasi, Kiev, Leeds, London Stansted, Lwow, Malta, Paris Beauvais, Prague, Skopje, Stockholm, Timisoara and Valencia. There are domestic flights from Alghero, Bari, Brindisi, Cagliari, Catania, Lamezia Terme and Palermo. Flights to and from Treviso Airport are operated by Ryanair, +39 895 8958989 and Wizz Air +39 895 895 3322. ATVO operates buses from Venice to Treviso Airport daily at 05:30, 07:10, 10:30, and 18:30 and from Treviso Airport to Venice daily at 07:45, 08:15, 13:10 and 21:20 plus others not connecting to the flights to and from Treviso Airport. Flights arriving earlier or later than scheduled may affect the departure from the airport. If flights are cancelled the bus service will be suspended. The bus has two stops in Mestre, one in Corso del Popolo in front of BNP Bank in the historic center and the other one near the railway station and the journey takes about 55 min. The bus stop in Venice is at Piazzale Roma and the journey takes about 70 min. Ticket prices are €12 one-way and €22 return (valid 7 days) and have to be validated before boarding the bus. Tickets can be bought at Treviso Airport at the automatic ATVO ticket machine in the arrivals baggage hall or at the ATVO ticket office in the arrivals hall, operating from 07:30 to 22:30 (tel +39 422 315 381). In Venice, tickets can be bought at the ATVO ticket office in Piazzale Roma, near the Carabinieri station (tel +39 421 594 671), at automatic ATVO ticket machine outside the ticket office, at 'Chiosco di Pluff' newsagent in the center of the square 5 m from the departure point for the buses to Treviso Airport, at Botazzo Tobaconist's in Piazzale Roma, at the Novo Tour Agency in Piazzale Roma and at IEX Change Agency in St.Mark's Square under the Torre dei Mori. In Mestre tickets can be bought at ATVO ticket office in Via Capuccina 183, near the railway station (tel +39 421 594 673), at automatic ticket machine outside the ticket office, at Bar Binario, situated near the ticket office, at ATAV - Associazione Turistica Albergatori Venezia, inside the railway station or at 365 Grandi Biglietterie Agency inside the railway station. There is free Wi-Fi on the buses. Barzi Bus Service offers a bus service via the motorway from the airport to Mestre train station (about 30 min trip) and Venice Tronchetto (about 40 min trip). Ticket prices are €12 one way and €22 return (valid 10 days). Tickets can be bought at their desk in the arrival hall (tel. +39 348 836 71 85), or on the bus. Tickets bought on Ryanair flights are not valid for this service. Barzi Bus brings you to Tronchetto, from there you can take vaporetto line 2 to the city center. If you'd rather avoid the highway traffic and don't have bulky luggage, take the local Mobilita di Marca bus no. 6 for €1.30 (€2.50 if bought on board). It will deposit you at the Treviso train station in about 10 minutes. There are 2-3 departures hourly from the airport between 06:00 to 22:00. Then it's about 30 minutes on Regionale or Regionale Veloce train to Venezia Santa Lucia (also 2-3 departures per hour). The ticket price is €3.40 for the train. The San Nicolo Airport (ICAO:LIPV, no IATA code) is an airfield directly on the Lido. It handles only small aircraft, as the runway (grass) is about 1 km long, and does not have any scheduled flights, but might be of interest to private pilots (arrivals from Schengen Agreement states only) due to its convenience to the city (it is a short walk to the vaporetto landing). Trains from the mainland run through Mestre to the 2 Venezia Santa Lucia train station on the west side of Venice; make sure you don't get it confused with 3 Venezia Mestre or 4 Venezia Porto Marghera, which are on the mainland before the bridge. Many through trains only stop in Mestre - in that case just hop on to one of the very frequent trains to Santa Lucia (ticket €1.25). Also, ACTV has a ticket office at Mestre station, and queues might be shorter here. From the Santa Lucia station district, water buses (vaporetti) or water taxis can take you to hotels or other locations on the islands, but walking is usually the best option. There's a left luggage facility next to the track on the north side of the station (to the right when facing the tracks). Price is €6 per piece for the first six hours. Direct trains to Venice are available from many international destinations, there are sleeper trains from Munich and Vienna operated by ÖBB as part of their Nightjet brand. and also a weekly long-distance night train (four nights) from Moscow via Kiev, Budapest and Zagreb. There's also a sleeper service from Paris operating under the Thello brand. Nightjet trains to Munich depart Santa Lucia at 21:04 and arrive in Munich at 06:10. The train from Munich leaves at 23:20 to reach Santa Lucia at 08:24. Trains to Vienna depart at 21:04 and arrive in Vienna at 07:55 next morning. The other way departs Vienna at 21:27, arriving at 08:24 in Santa Lucia. The Thello sleeper leaves Paris Gare de Lyon at 19:15 and arrives in Santa Lucia at 09:35. The reverse trajectory departs Venice at 19:20, arriving in Paris at 09:37. Venice is well-connected with the domestic train network, Rome and Milan are only a few hours away. Also there are some night trains from cities in southern Italy, though since 2012 most services have been canceled. Freccia Bianca (White Arrow) trains to Trieste leave from Venezia Mestre at 10:24, 19:45 and 21:59 and the trip takes about 1 hr 35 min. Regionale Veloce (Fast Regional) trains leave from Santa Lucia station at 09:11, 9:48, 12:09, 13:09, every hour from 14:11 to 18:11, at 19:35, the trip taking about 2 hr 5 min. Freccia Bianca (White Arrow) trains to Milan leave Santa Lucia station at 05:20, 06:20, 06:50, 07:50, 08:50, 10:50, 12:50, 13:20, 14:20, 14:50, 15:20, 16:20, 17:20, 18:20 and 19:50, duration of the trip is about 2 hr 35 min. There are Freccia Argento (Silver Arrow) trains to Rome leaving Santa Lucia at 10:25, 13:25, 15:25 and 18:25, via Bologna and Florence arriving in Rome 3 hr 50 min later, and an Intercity Night train leaving Santa Lucia at 00:07, arriving in Rome at 06:35 next morning. Iitalo offers train services from Santa Lucia to Rome at 07:55, 09:55, 12:55 and 18:55, arriving Romea Ostiense at 11:50, 13:50, 16:50 and 22:50, and at 15:55 arriving at Roma Tiburtina at 19:30. Cars arrive on the far western edge of Venice, but remain parked at the entrance to the city (Piazzale Roma or Tronchetto - Europe's largest car park.) There are no roads past this point—and never were, even before cars. Car parking is very very expensive here (€26/12 hr, €30/24 hr) and the tailbacks can be quite large. Tronchetto is about a 1 km from Piazzale Roma, the city's main entry point, but there is an shuttle train service, People Mover, at €1.50. Parking Tronchetto, Isola Nuova del Tronchetto, ☎ +39 041 5207555, fax: +39 041 5285750, e-mail: info-tronchettopark@interparking.com. Has 4,000 parking spaces (including 33 parking spaces for persons with special needs). Parking is open 24 hours throughout the year. Cars must not be higher than 2.10 m. Ticket price is €3 per hour for the first 2 hours, €5 per hour for the next 2 hours and €21 for the whole day. Most credit cards are accepted. 1 Autorimessa Comunale, Piazzale Roma, Santa Croce 496, ☎ +39 041 2727302. Open 24 hours every day of the year. Offers parking for more than 2000 cars and 300b motor-cycles on 6 floors. Cars must not exceed a height of 2.20 m. The ticket price is €26 for cars under 1.85 m and €29 for cars over 1.85 m. Online bookings at this website get 10 percent discount. You can download a map on how to reach the Autorimessa. €23.40 for cars thinner than 185cm online. 2 S. Andrea Car Park, Piazzale Roma, ☎ +39 041 2727304. Open 24 hours every day all the year round. Inside the Autorimessa, accessible from Rio Terà S. Andrea, for short term parking. Cars must not be higher than 2 m. The ticket price is €7 for 2 hours. No advance reservation. You can download a map how to reach the S. Andrea car park. An alternative is to use the car parks on the mainland (terra ferma) and catch a train or bus or vaporetto into Venice. Park near the Mestre railway station, and catch a train to Venezia St.Lucia; there are many trains, it is very near (8–10 minutes) and quite cheap (€1.20). Don't bother searching for free parking near Mestre train station - there are no free parking spots near, except on Sunday (free parking is on the other side of the station, in Marghera). Free and safe parkings are also near Mogliano Veneto and Oriago railway stations. Besides, Venezia St. Lucia is a good starting point to visit Venice. However drivers going to the Lido can use the car ferry from Tronchetto (vaporetto 17 - frequencies vary), right hand lane off the Ponte della Libertà into the city. Ca' Marcello Car Park, via Ca' Marcello, Mestre. Open every day from 06:00 to 24:00. Open air car park for 100 cars near the Mestre railway station. Ticket price €1 for 4 hours, €4 for the whole day (on week-days from 08:00 to 20:00 only). Red line (line Rossa) runs from Fusina to Alberoni on Venice Lido in winter M-F at 07:30, every day at 09:30, 11:30, 13:30, 15:30 and 17:30. travel time 35 minutes, return M-F 08:15, every day at 10:15, 12:15, 14:15, 16:15 and 18:45. Ticket price €7 one-way, €12 return. Yellow Line (Line gialla) runs from Zattere to Alberoni at 08:45, 10:45, 12:45, 16:15 and 18:15, return from Alberoni at 09:30, 11:45, 13:45, 17:00 and 19:00, tickets €7 one-way, €12 return. Punta Sabbioni, Via Fausta, Cavallino Treporti, ☎ +39 0415301096, e-mail: info@acivenice.com. ACI operates a large car park for 100 buses and 400 cars at Punta Sabbioni. This is a convenient way to enter Venice from the seaside resorts Lido di Jesolo, Lignano or Bibione. Vaporetto line 12 brings you to Murano, Burano and Torcello, lines 14 and 15 to S. Zaccaria. For bus services between Marco Polo airport (VCE) and the Piazzale Roma bus station in Venice, see the By Place section. The 5 Piazzale Roma bus station is well served by vaporetti and water-taxis ... and of course, you can walk everywhere. From Mestre, you can take a bus to Venezia- Piazzale Roma. the ticket is €1.30 but if you buy it in the bus it will cost €2.50. You can buy bus tickets from specialized ticket kiosks and vending machines, as well as tobacconists and newsstands. All of the city is connected to Venice by bus. There is a tram connection from the mainland to Venice: Line T1 from Favaro to Piazzale Roma. One way/Single Ticket - 75 min €1.50. Ticket booklet - 10 tickets - 75 min €14. You can buy tram tickets from specialized ticket kiosks, vending machines, tobacconists and newsstands, and you can use the same ticket for buses and People Mover. Ships arrive at the Stazione Marittima which is at the west end of the main islands, it is served by vaporetti and water taxis. To Piazzale Roma: take the People Mover operating every 3 minutes weekdays from 07:10 to 22:50, holidays from 08:10 to 21:50, price €1. To Santa Lucia Railway Station (distance 1 km): take the People Mover to Piazzale Roma, then walk or take the water taxi (tel. +39 0412402711, +39 041716922, +39 0415222303 or +39 0415229040). To Venezia Mestre Railway Station (distance 7 km) take a taxi (Radiotaxi tel. +39 041 5952080 or take the People Mover to Piazzale Roma and the bus line to Mestre. To Marco Polo Airport (distance 13 km) take a taxi (Radiotaxi tel. +39 041 5952080, 40 minutes trip), a water taxi (tel. +39 0412402711, +39 041716922, +39 0415222303 or +39 0415229040) or take the Polple Mover to Piazzale Roma and then ACTV bus no 6 or ATVO buses. ACTV runs the vaporetti and other public transport services both in the lagoon and on terra firma. Line 1 runs from Piazzale Roma to Lido, passing the Railway Station (Ferrovia), Canal Grande, Rialto, S.Marco and S.Zaccaria and vice versa, leaving Piazzale Roma every 20 minutes from 05:01 to 06:01 and from 22:21 to 23:41, every 10 minutes from 06:21 to 22:01, leaving Lido every 20 minutes from 04:16 to 05:36 and from 21:46 to 23:06, every 10 minutes from 5:56 to 21:26. Line N is a night line, connecting Lido with Canal Grande, Piazzale Roma, Tronchetto, Canale and vice versa. Boats leave Lido every 20 minutes from 23:26 to 04:06 and Piazzale Roma every 20 minutes from 00:09 to 04:49. Line 2 goes from S.Zaccaria over S.Giorgio, Giudecca, Zattere, Tronchetto, Piazzale Roma, Ferrovia, S.Marcuola, Rialto, S.Tomà, S.Samuele, Academia and S.Marco. Departure from S.Zaccaria every 20 minutes from 04:59 to 08:39 and from 20:49 to 23:09, every 10 minutes from 08:59 to 20:29. The route can be seen as a "C" running along the Grand Canal and Giudeca Canal, hugging the districts of San Polo, Santa Croce and Dorsoduro. Line 4.1 runs from San Zaccaria (Jolanda) to Murano via Arsenale, Giardini, S.Elena, S.Pietro di Castello, Bacini, Celestia, Ospedale. Fondamente Nove and Cimiterio and from Murano to San Zaccaria (Jolanda) via Cimitero, Fondamente Nove, Orto, Sant’Alvise, Tre Archi, Gugle, Ferrovia, Piazzale Roma, S.Marta, Palanca, Redentore and Zitelle. Boats leave Fondamente Nove to Murano (Museo) from 06:14 to 21:34 and from 21:42 to 23:22, from Murano (Museo) to Piazzale Roma from 06:32 to 19:32, from Murano (Museo) to Fondamente Nove from 19:52 to 21:52 and from Piazzale Roma to San Zaccaria from 06:18 to 20:18 every 20 minutes. Line 4.2 runs from San Zaccaria (Jolanda) to Murano via Zitelle, Redentore, Palanca, Sacca Fisola, S.Marta, Piazzale Roma, Ferrovia, Guglie, Crea, S.Alvise, Orto, Fondamente Nove and Cimitero, and return from Murano to San Zaccaria (Jolanda) via Cimitero, Fondamente Nove. Ospedale, Celestia, Bacini, S.Elena, Giardini and Arsenale. Boats depart at San Zaccaria from 06:13 to 20:33, from Piazzale Roma to Fondamente Nove from 06:56 to 20:56, from Fondamente Nove to Murano from 06:23 to 21:23, from Murano (Museo) to San Zaccaria from 06:43 to 20:43, and from Murano (Museo) to Fondamente Nove from 20:43 to 21:43 and from 22:07 to 23.47 every 20 minutes. Line 5.1 runs anti-clockwise from Lido to Piazzale Roma via S.Pietro, Bacini, Celetstia, Ospedale, Fondamente Nove, Orto, S.Alvise, Tre Archi, Guglie, Riva de Biasio and Ferrovia and from Piazzale Roma to Lido via S.Marta, Zattere. S.Zaccaria, Giardini and S.Elenea. Boats leave from Lido from 06:20 to 20:20, from Fondamente Nove from 06:24 to 23:04, from Piazzale Roma from 06:08 to 23:48 and from S.Zaccaria from 06:38 to 00:08 every 20 minutes. Line 5.2 runs clockwise from Lido to Piazzale Roma and back to Lido. Boats leave Lido from 5.52 to 20.32 and from 20.42 to 0.22, from S.Zaccaria from 6.06 to 20.46 and from 20.56 to 0.36, from Piattale Roma from 0626 to 21:06 and from 21:16 to 23:16 every 20 minutes. Line 6 runs from Piazzale Roma to Lido via S.Marta, S.Basilio, Zattere, Giardini and S.Elena. Boats leave Piazzale Roma from 06:19 to 20:29, and Lido from 05:42 to 20:02 every 20 minutes. Line 9 runs from Burano to Torcello, leaving Burno from 07:05 to 20:35 and Torcello from 06:40 to 20:10 every 30 minutes. Line 10 runs from Lido to San Marco Giardinetti via S.Elena, Giardini, Arsenale and S.Zaccaria and return from San Marco Giardinetti to Lido via S.Zaccaria. Boats from 18:01 to 20:21 and from San Marco Giardinetti from 17:39 to 20:21 every 10 minutes. Line 12 runs from Fondamente Nove to Punta Sabbioni via Murano Faro, Mazzorbo, (Torcello), Burano and Treporti and back. Boats leave Fondamente Nove from 07:10 to 19:40 and Punta Sabbioni from 07:56 to 20:26 every 30 minutes. Line 14, 14L, 15 runs from San Zaccaria Pieta to Punta Sabbioni via Lido and back. Boats leave S.Zaccaria Pietà from 08:15 to 20:15 every 30 minutes, later at varying intervals, last boat at 23.45. Boats leave Punta Sabbioni from 08:30 to 17:00 every 30 minutes, later at varying intervals, last boat at 0.20. Some boats do not stop at Lido. Line 17 is the Tronchetto to Lido (S.Nicoló) ferry. Ferry boats leave at Tronchetto at 00:10, 01:40, and from 06:40 to 23:20 every 50 minutes and Lido (S.Nicoló) at 00:55 and from 05:50 to 23:20 every 50 minutes. A single ticket (biglietto solo andata) costs €7.50, permitting the use of public transports for 75 minutes from the moment you validate the ticket including transfers heading in the same direction. In case you board a boat without having bought a ticket beforehand, you have to buy one from the on-board collector upon boarding. There are no return tickets. There are tourist travel cards (biglietto turistico a tempo) for 1, 2, 3, or 7 days. The tourist tickets cost €20 for 24 hours, €30 for 48 hours, €40 for 72 hours and €60 for 7 days. There are other versions available, including those offering discounts for youth under 29 year of age. Current rates can be found here. Something you won't be told easily is that now anyone can purchase the Venezia Unica City Pass card (formerly IMOB) - the only difference is that in addition to its €10 cost for residents, foreigners need to pay a €40 extra "transport activation" fee. Unless you are in town for a couple of days and planning never to return, do it. It's a durable plastic card with your (webcam) picture, and once you have it, you are more or less a local - which means access to €1.50 single vaporetto tickets (save even more by recharging the card with 10 at once for €14), half-price discount on Alilaguna services, and even €0.70 traghetto crossings (instead of €2; flash the card to the gondolier). It is valid for 5 years from the month of issue. Register at the Venezia Unica site and pre-fill the application online, then go to one of the ACTV offices (not simply ticket points; probably the easiest location is at Piazzale Roma) and tell the clerk that you have a "contratto precompilato" - they'll pull it up, ask you to sign the privacy disclosures and issue the card on the spot (or you can fill the form at the counter; bear in mind it's in Italian). Moreover, if you happen to have a +39 Italian cell phone number, with it and your new Unica you can get a free code for use of the communal WiFi spots. If you lose the card, do not despair: it costs only €10 to get an immediate replacement, and the balance (along with your old photograph) is automatically transferred over. The Venice Connected website of the Comune di Venezia (now integrated into Unica site) makes possible to book online (at least 7 days in advance) most services controlled by the town administration (public transportation, access to the civic museums, access to public restrooms, car park tickets, entrance to the Casinò and access to the municipal WiFi network covering the entire historic centre); the online prices vary according to the projected number of visitors but are always cheaper than the current on-site prices (and cheaper than with a Venice Card). Maps are available at the vaporetto stops in the ticket booths. The map is quite reliable, and is free when getting a Venice Card (€2 otherwise) can be viewed on Internet. Be aware that addresses in Venice are of the form "District Number" (the Venetian word for district is "Sestiere"), not "Street Number". To find a specific place using a map, make sure you know which district it is in. The numbers are assigned at the start of the district and increase as they move farther away from the Grand Canal. Water taxis (taxi acquei) are operated by Coop. San Marco (tel. +39 041 5222303), Coop. Veneziana (tel. +39 041 716124), Coop. Serenissima (tel. +39 041 5221265 or +39 041 5229538), Soc. Narduzzi Solemar (tel. +39 041 5200838), Soc. Marco Polo (tel. +39 041 966170), Soc. Sotoriva (tel. +39 041 5209586), Soc. Serenissima (tel. +39 041 5228538) and Venezia Taxis (tel. +39 041 723009). In the historic city centre there is a fixed tariff for water taxis of €15 at departure plus €2 per minute on urban routes. There are supplements of €5 for call services and customer pick-up outside the taxi ranks, of €10 for night services between 22:00 and 06:00, of €3 pieces of luggage exceeding 4 pieces and of €5 or €10 for every person exceeding a group of 4. Rates are fixed by a resolution of the Venice City Council. Ticket price €2 one way, €0.70 for Venice residents and IMOB card holders. Alilaguna Green line (linea verde) Alilaguna, tel. +39 041 5235775, operates a 4 hours excursion tour to the island of Murano, Burano and Torcello with explanations in English, French, German and Spanish. Departure from imbarcadero San Marco Giardinetti, Minimum 4 participants. Boat starts in Apr, May and Oct at 09:30, 11:00 and 14:30, from Jun to Sept at 09:30, 11:00, 14:30 and 15:30, from Nov to Mar at 11:00 and 14:00. Ticket price €20 (free for holders of Alilaguna 72 hrs pass). 1 Doge's Palace (Palazzo Ducale), Piazetta San Marco, San Marco 1 (vaporetto line 1 or 2 to San Marco), ☎ +39 041 2715911. Nov to Mar 08:30 to 17:30, Apr to Oct 08:30 to 19:00, closed Jan 1 and Dec 25. Don't miss the guided tour named Secret Itinerary, which will let you discover the part of the palace where the city's administration worked, as well as Casanova's jail and the wonderful five hundred year old roof structure. A MUVE museum. Adults €20, reduced €14. 2 Bell tower of St. Mark (Campanile di San Marco), Piazza San Marco, San Marco (vaporetto line 1 to San Marco), ☎ +39 041 5224064. Nov-Mar: 09:30-15:45; Apr-Jun, Oct: 09:00-19:00; Jul-Aug: 09:00-21:00. The current tower dates from 1912; an exact replica of the previous tower which collapsed in 1902. The top of the tower offers great views of Venice and the lagoon. €8. 3 Clock tower (Torre dell'Orologio), Piazza San Marco, San Marco (vaporetto lines 1-2-5, 1.5.2 to San Marco), ☎ +39 041 5209070. Having been closed for restoration for many years, the restored astronomical clock is now visible. The fascinating tour of the clock mechanism (and rooftop bell) can only be visited on a guided tour, in English: Mon-Wed at 10:00 and 11:00, on other days at 14:00 and 15:00, in French Mon-Wed at 14:00 and 15:00, advance reservation required online or by phone at +39 041 5209070. A MUVE museum. Adults €12, reduced €7. 4 Scuola Grande di San Rocco, San Polo 3052 (vaporetto line 1 or 2 to San Tomà, near the Basilica di Santa Maria Gloriosa dei Frari), ☎ +39 041 5234864. 09:30-17:30, closed Dec 25, Jan 1, Easter Sunday. A masterpiece of Tintoretto, this guild house is an exquisite example of Mannerist art at its best. In order to allow a comfortable admiration of the detailed ceiling, mirrors are offered to the visitors. Cycles of allegories, life and passion of Christ, scenes from the Old and New Testament. Adult €10, concessions €8. 5 Jewish Ghetto of Venice (Ghetto Ebraico di Venezia), Cannaregio. While racial and ethnic neighborhoods had existed prior to the Venetian Ghetto, Venice's ghetto was the first "ghetto" (coming from a Venetian word for the Iron Foundry that was on the site previously) and "ghetto" eventually came to mean any neighborhood that was made up of a single ethnic/racial group. Today, Jewish life is still very active in the ghetto, and elsewhere in Venice, and is home to five synagogues. Visiting on Saturdays or late Fridays (the Jewish Sabbath) will prove very fruitless because all shops, restaurants, and other Jewish places will be closed. 6 Ponte di Rialto (Rialto Bridge) (connecting sestieri San Polo and San Marco across Canal Grande). The bridge has become one of Venice's most recognizable icons and has a history that spans over 800 years. Today's Rialto Bridge was completed in 1591 and was used to replace a wooden bridge that collapsed in 1524. 7 Zattere, Dorsoduro. It's a long and sunny walk along the Giudecca canal, protected during winter time from cold northerly winds for being exposed to south and shielded by buildings. You might find interesting to see how a gondola is made, stopping by the Squero (Venetian for small ship yard) across the canal near San Trovaso Church. It's one of the few still in business in town. With some luck, you'll see some gondole through various manufacturing steps (note that gondole are not straight to counterbalance the gondoliere push). 8 Saint Mark's Basilica (Basilica di San Marco), Piazza San Marco, San Marco 328 (water lines #1, 52, and 82 will take you from Santa Lucia (the train station) or Piazzale Roma to Piazza San Marco. Walking is another option but will require a map and lots of time and energy), ☎ +39 041 5225205 (procuratorial phone number). 1 Oct-31 Mar: 09:45-16:45; 1 Apr-30 Sep: 09:45-17:00. Saint Mark's Basilica is on the Piazza San Marco and is one of the highlights of a visit to Venice. As with most churches in Italy, you must be dressed appropriately to be allowed in; this means no short skirts or bare shoulders. You are not allowed to carry large bags or rucksacks inside, sometimes even small daypacks may need to be deposited. Storage is available just around the corner from the main entrance (free of charge). Filming and photography is forbidden so be prepared in advance. The visit within the basilica lasts ten minutes. Waiting for entry into the basilica can last up to five or so hours and it may be wise to use a ticket service to reserve your visit (reservation costs €2, official tickets at venetoinside.com). Once you have a reservation you can take the group entrance on the left, where you hand in the printout of your reservation. Admission to the basilica is free, however, the museum upstairs costs €5 and to view the high altar and treasury costs €2 and €3 respectively. 9 San Giacomo di Rialto, San Polo. This church is possibly the oldest church in Venice built around 421. It is most recognized for its 15th-century clock above the entrance of the church. It is also recognized for the red pillars and beautiful gold accents around the church itself. 10 San Giovanni e Paolo (San Zanipolo), Castello. A fine, huge Dominican church with the tombs of many Doges. It shares its piazza with the fine Renaissance façade of the Scuola San Marco and an equestrian statue of the mercenary (condottiere) captain Bartolomeo Colleoni. Look out for the testicles (coglioni in Italian - it's a lousy pun) on his coat of arms! 11 Santa Maria Gloriosa dei Frari (Basilica dei Frai, often just referred to as the Frari), San Polo 3072, ☎ +39 041 2728618. M-F 09:00-18:00, Su and holidays 13:00-18:00. Last admission 30 min before closing time. The big friary church, fine example of Venetian Gothic architecture, with fine monuments and paintings of Titian, Belliniand Donatello, among which the famous 'Assunta' by Titian. Adult €3, reduced €1.50. 12 Santa Maria dei Miracoli, Cannaregio. A perfect jewel box church, simple in form but ornamented with fine exterior marble facings. 13 San Simeone Piccolo, Santa Croce (located opposite the Santa Lucia train station across the Canal Grande). The last church built in Venice. One of the things that it is recognized for is the fact that they celebrate Tridentine Mass on Sundays. It is also recognized for its dome because it is used to make the church look taller than it is and the dome itself is entirely covered with lead sheet. 14 Santa Maria della Pietà, Castello. A church that used to house an orphanage and hospital in the 18th century, it is known among classical music enthusiasts as the church where the Catholic priest and composer Antonio Vivaldi worked for most of his career. 15 Convento di S.Francesco del Deserto, S.Francesco del Deserto. Tu-Su 09:00-11:00, 15:00-17:00. Old Franciscan convent in one of the most beautiful islands in the Venice lagoon. By donation. 16 S. Francesco della Vigna, Campo San Francesco della Vigna, Castello, ☎ +39 041 5206102. 08:00-12:00, 16:30-18:00. 17 Gesuati (S.Maria del Rosario), Fondamente Zattere delle Gesuati, Dorsoduro, ☎ +39 041 5230625. 08:00-12:00, 17:00-19:00. 18 Gesuiti (S.Maria Assunta), Campo dei Gesuiti, Cannaregio, ☎ +39 041 5286579. Summer 10:00-12:00, 17:00-19:00, winter 10:00-12:00, 16:00-18:00, closed Su afternoon. 19 S. Giobbe, Campo San Giobbe, Cannaregio. 08:30-12:00, 15:30-18:00. 20 S. Giovanni in Bragora, Campo Bandiera e Moro, Castello, ☎ +39 041 5205906. 06:00-11:00, 17:00-19:00. 21 S. Giovanni Crisostomo, Campo San Giovanni Crisostomo, Cannaregio, ☎ +39 041 5227155. 07:00-12:30, 15:00-19:00. 22 S. Giuliano, Campo di San Giuliano, San Marco. 23 Madonna dell'Orto, Campo Madonne dell'Orto, Cannaregio, ☎ +39 041 719933. Summer 09:30-12:00, 16:00-19:00, winter 09:30-12:00, 15:00-17:30. With the grave and 10 paintings of Tintoretto. 24 S. Maria del Carmelo (Carmini). 25 S. Maria Formosa, Campo Santa Maria Formosa, Castello, ☎ +39 041 5234645. 08:30-12:30, 17:00-19:00. 26 S. Maria della Salute, Campo delle Salute, Dorsoduro, ☎ +39 041 5225558. 08:30-12:00, 15:00-17:30. 27 S. Michele in Isola, Isola San Michele. 28 Basilica di San Pietro di Castello, Campo di San Pietro, Castello. Venice cathedral up to 1807, when the see was transferred to San Marco. 29 SS. Redentore, Fondamente della Croce, Giudecca. 30 S. Salvatore, Campo San Salvatore. 31 S. Sebastiano, Campo San Sebastiano, Dorsoduro, ☎ +39 041 5282487. 32 S. Stefano, Campo Santo Stefano, San Marco 3825, ☎ +39 041 5222362. 33 S. Zaccaria, Campo San Zaccaria, ☎ +39 041 5221257. 10:00-12:00, 16:00-18:00. The Fondazione Musei Civici di Venezia (MUVE) (call center 848-08.2000) offers two museums passes for the San Marco Museums valid for 3 months at €16 (€8 reduced) granting admission to Palazzo Ducale, Museo Correr, Museo Archaeologico Nazionale, Sale Monumentali della Bibliotheca Marciana, and another museum pass valid for 6 months for €24 (reduced €18) granting admission to the above mentionned museums plus Ca' Rezzonico, Mesue del '700 Veneziano, Palazzo Mocenigo, Casa di Carlo Goldoni, Ca' Pesaro, Museo del Vetro Murano, Museo di Merletto Burano and Museo di Storia Naturale. 34 Correr Museum (Museo Correr), Piazza San Marco, Ala Napoleonica, San Marco 52 (on San Marco Square, vaporetto line 11-2-5, 1-5-2), ☎ +39 041 2405211. Nov 1 to Mar 31: 10:00-17:00, Apr 1 to Oct 31: 10:00-19:00, closed Dec 25, Jan 1. Interesting collection of globes, starting from the 16th century. There is also an only library hall, an archeological museum of Roman antiques and an important picture gallery. The museum offers a tour of Venetian history. Remarkable painting gallery with masterpieces of the 14th to 16th cent from Venice, works of the Venetian sculpture Canova, studies on urban development and social life. At the end of your visit, don't miss the museum art cafe, with their tables on the San Marco Square. A MUVE museum. €14 (reduced €8), which also includes Doge's Palace. 35 The Peggy Guggenheim Museum, Palazzo Venier dei Leoni, Dorsoduro 701 (located to the east of the Accademia bridge, on the southern side of the Grand Canal), ☎ +39 041 2405411, fax: +39 041 5206885, e-mail: info@guggenheim-venice.it. W-M 10:00-18:00. Closed on Tuesdays and on 25 December. Open on national holidays (including Tuesdays). The Peggy Guggenheim Museum offers a personal collection of modern art collected by Peggy Guggenheim. Peggy was an American married to modern artist Max Ernst, and funded a number of his contemporaries. The gallery includes a sculpture garden and works by Picasso, Kandinsky, Tanguy, Duchamp, Pollock, Dali, and Mondrian. Adult €15, seniors (over 65 years) €13, students (18 years and under or holders of valid student ID) €9. 36 Ca' Pesaro - International Modern Art Gallery (Galleria Internazionale d'Arte Moderne), Santa Croce 2076 (vaporetto line 1 to San Stae), ☎ +39 041 524695. Nov-Mar: 10:00-17:00, Apr-Oct: 10:00-18:00, closed Dec 25, Jan 1, May 1. Modern art collection, paintings of the 19th and 20th century. A MUVE museum. Adults €14, reduced €11.50 (valid for both museums in the Ca' Pesaro). 37 Ca' Pesaro - Museum of Oriental Art (Museo d'arte Orientale di Ca Pesaro), Santa Croce 2076 (vaporetto line 1 to San Stae), ☎ +39 041 5241173, e-mail: capesaro@fmcvenezia.it. Nov-Mar 10:00 to 17:00, Apr-Oct: 10 :00-18:00, closed M, Dec 25, Jan 1, May 1. Beautiful palace housing the gallery of modern art focusing on Italian art in the 19th century as well as the Marco Polo Museum, a rich collection mainly of Asian exhibits (fabrics, clothes, armours, porcelain). A MUVE museum. Adults €14, reduced €11.50 (valid for both museums in the Ca' Pesaro). 38 Galleria dell'Accademia di Venezia, Campo della Carità, Dorsoduro 1050 (vaporetto line 1 or 2 to Accademia). M 08:15-14:00, Tu-Su 08:15-19:15 (ticket office closes 1 hr before). Venice's most significant art museum which is also one of Italy's best. Among the most important paintings in the Accademia are: Gentile Bellini: Procession on St. Mark’s Square (1496) and Miracle of the Cross at the Bridge of S. Lorenzo (1500), Giovanni Bellini: Pieta (1500), Jacopo Bellini: Madonna with Child and Cherubs (ca. 1450), Paris Bordenone: A fisherman presents the ring of St. Mark to the doge (ca. 1535), Vittore Carpaccio: Legend of Saint Ursula (1490-1498), Cima da Conegliano: The Holy Virgin under the Orange Tree (ca. 1496), Giorgione (1477-1510): The Tempest and La Vecchia ("The Old Woman"), Andrea Mantegna (1431-1506): St. George, Veronese Paolo (1528-1588): The Feast in the House of Levi (1573), Tintoretto: The Miracles of St. Mark (1548), and Titian: Pietà (ca. 1576). Adults €16, reduced €7.50, advanced reservation fee €1.50. 39 Palazzo Grassi, Campo San Samuele, San Marco 3231. M W-Su 10:00-19:00. Last admission 1 hr before closing. Contemporary art museum. Temporary exhibitions from François Pinault's Collection. Adults €18, reduced €15. 40 Punta della Dogana, Dorsuduro 2 (on the tip between Grand Canal and Giudecca Canal, vaporetto line 1 to Salute), ☎ +39 041 2001057. W-M 10:00 to 19:00, closed Tu and Dec 24. Former customs house, centre for contemporary art, permanent exhibition of works from the François Pinault Collection. Renovation by world renowned architect Tadao Ando. €15, reduced €10. 41 Galleria Giorgio Franchetti Ca' d'Oro (Ca' d'Oro museum), Strada Nuova, Cannaregio 3932 (linea 1 to Ca d'Oro), ☎ +39 0415200345. Tu-Sa 08:15-19:15, M 08:15-14:00, Su 10:00-18:00, closed Dec 25, Jan 1, May 1. A collection of paintings and statues in a former palace from the 15th century. One of the best examples of Gothic architecture in Venice, sculptures, bronzes, paintings of Mantegna, Giorgione and Titian, Flemish and Dutch paintings. Adults €8, reduced €6. 42 Palazzo Fortuny, San Beneto, San Marco 3958 (laterale Calle della Mandorla, vaporetti line 1 or 2 to Rialto or S.A°ngelo), ☎ +39 041 5200995. W-M 10:00-18:00, closed Tue and May 1. Collection of paintings and lamps. A MUVE museum. Adults €12, reduced €10. 43 Telecom Italia Future Centre, Campo San Salvador, San Marco 4826 (vaporetto line 1 or 2 to Rialto), ☎ +39 041 5213272. Tu-Su 10:00-18:00; closed M, Dec 25, Jan 1. Centre dedicated to telecommunication technology. The building complex includes an adjacent church with important works of art, the Refectory (which is a conference hall today), Renaissance cloisters and a small museum focusing on the evolution of the telephone in the last 100 years. Free. 44 Physics Museum Anton Maria Traversi (Museo della Fisica Anton Maria Traversi), Liceo Marco Foscarini, Fondamenta Santa Caterina, Cannaregio 4942 (vaporetto line 1 to Ca d'oro), ☎ +39 041 5224845. Daily 09:30-12:30, and W 14:00-16:00, closed holidays and August. More than 200 instruments for educational and practical use, built to facilitate scientific research, conducted by physics teachers since the 19th cent, guided tours led by students. Adults €2, reduced €1. Venice Lido Planetarium (Planetario di Venezia Lido), Lido. A planetarium. See Lido for details. 45 Le Macchine di Leonardo a Venezia, Campo San Barnaba, Dorsoduro 2771, ☎ +39 339 7985464, e-mail: paolotarchia@tiscali.it. Daily 09:30-19:30. An exhibition in the Chiesa di San Barnaba showing around forty models of machines reproduced from Leonardo's codices. Some of the exhibits are interactive and copies of the codices are available for further reading. It was supposed to have ended in 2012, but doesn't appear to be in a hurry to leave - and a good thing too, since the church, an attraction in itself (it's the one under which Indiana Jones finds catacombs in The Last Crusade, by the way), was rarely accessible to visitors before. Adults €8, over-65s, children and students €5. 46 Jewish Museum (Museo Ebraico), Cannaregio 2902/b (vaporetto line 1 and 2 to San Marcuola), ☎ +39 041 715 359, fax: +39 041 72 3007, e-mail: museoebraico@codesscultura.it. 1 Jun-30 Sep: 10:00-19:00; 1 Oct-31 May: 10:00-18:00. The museum is closed on Saturday (Shabbat), during Jewish festivities, on 25 Dec, 1 Jan and 1 May. Objects related to the social life of the Jewish community, in two synagogues of the 16th century. Entrance to the museum: adults €3, reduced €2. Entrance to the museum and guided tours to synagogues: adults €8.50, reduced €7. 47 Mekhitarist Monastery (Monasterio Mekhitarista), Isola di San Lorenzo degli Armeni (15.10 hrs at San Zaccaria), ☎ +39 041 5260104. Daily 15:25 (guided tour only). Library, collection of works, miniatures and documents of the Armenian history. On the small island of San Lorenzo degli Armeni. Adults €6, reduced €4.50. 48 Museo Diocesano, P.te della Canonica, Castello 4312 (vaporetto line 1-5 or 1-5-2 to San Zaccaria), ☎ +39 041 5229166. Th-Tu 10:00-17:00. Religious furniture and objects from now demolished churches and convents, one of the most appealing Romanesque cloisters of Venice. €4.00, reduced €2.50. 49 Mocenigo Palace Museum (Museo di Palazzo Mocenigo, Centro Studi die Storia del Tessuto e del Costume), Santa Croce 1992 (vaporetto line 1 to San Stae), ☎ +39 041 721798, e-mail: info@fmcvenezia.it. Apr-Oct: 10:00-17:00, Nov-Mar: 10:00-16:00; closed M, Dec 26, Jan 1, May 1. A collection of clothes dating from the 18th century. Splendid interior. Collection of dresses and accessories, fabrics, books, figurines in various period costumes. A MUVE museum. Adults €5, reduced €3.50. 50 Ca' Rezzonico - Museum of 18th Century Venice (Musei del Settecento Veneziano), Dorsoduro 3136 (vaporetto line 1 to Ca' Rezzonico), ☎ +39 041 2410100, e-mail: info@fmcvenezia.it. Nov-Mar: 10:00-17:00, Apr-Oct: 10:00-18:00; closed Dec 25, Jan 1, May 1. Museum of the 18th century in Venice - attempts to revive the domestic atmosphere of Venetian nobilities. Furniture, interior decoration, paintings by Guardi, Canaletto, Tiepolo. On the third floor important paintings of the Venetian school. A MUVE museum. Adults €8, reduced €5.50. Glass Museum (Museo del Vetro). On Murano, the island so typical of its glasswork. A MUVE museum. See Murano for details. 51 Natural History Museum (Museo di Storia Naturale), Fondaco dei Turchi, Santa Croce 1730 (vaporetto line 1 to Riva di Biasio), ☎ +39 041 2750206. Jun-Oct: 10:00-18:00; Nov-Mar: Tu F 09:00-17:00, Sat S 10:00-18:00. 11 exhibition halls with sections on palaeontology, explorations and nature. A MUVE museum. Adults €8, reduced €5.50. 52 House of Carlo Goldoni (Casa di Carlo Goldoni, Centro di Studi Teatrali), San Polo 2794 (vaporetto line q or 2 to S.Tomà), ☎ +39 041 2440317. Apr-Oct: Th-Tu 10:00-17:00; Nov-Mar: Th-Tu 10:00-16:00; closed Jan 1, May 1, Dec 25. Birthplace of Venice's most famous playwright. Museum, library and theater studies center. A MUVE museum. Audlts €5, reduced €3.50. Lace Museum (Museo del Merletto). A MUVE museum. See Burano for details. 53 Museo Storico Navale (Naval History Museum), Riva S. Biasio, Castello 2148 (vaporetto line 1 to Castello), ☎ +39 041 2441399. M-F 08:45-13:30, Sa 08:45-13:00, Su closed. Collection of relics from the Serenissima Republic of Venice, the Italian navy, and the ancient Arsenale shipyards, miniature models, uniforms and stadarts, collection of sea shells. The main building of the Naval Historical Museum (Riva S. Biasio) is closed for renovation works. It's possible to visit the Ships Pavilion in rio della Tana, Castello 2162 (close to the Naval Museum). Adults €5, reduced €3.50. 54 Fondazione Querini Stampalia, Castello 5252 (near Camp S.Maria Formosa, vaporetto line 1-5, 1-5-2 to San Zaccaria), ☎ +39 0412711411. Tu-Su 10:00-18:00; closed M, Dec 25 and 26, Jan 1. Residence-museum of the Querini-Stampa family, library, picture gallery, furniture and household objects from the 16th cent onwards, important paintings by Bellini, Palma, Ricci, Tiepolo and Longhi. Adults €10, reduced €8. 55 Palazzo Cini, San Vio, Dorsoduoro 864 (vaporetto line 1 and 2 to Accademia), ☎ +39 0415210755. upon telephone reservation only. Residence of Vittorio Cini, collection of 15th and 16th cent paintings from Tuscany and Ferrara, period furniture, silver, ivory and ceramic objects. 56 Byzantine Pictures Museum (Greek Institute) (Museo Dipinti Sacri Bizantini (Istituto Ellenico)), Ponte dei Greci, Castello 3412 (vaporetto line 1-5 or 1-5-2 to San Zaccaria), ☎ +39 041 5226581. 09:00-16:30. Collection of Greek, Cretan and Venetian icons of the 14th to 18th century. Adults €4, reduced €3.50. 57 Scala Contarini del Bovolo, Corte del Riso o del Bovolo, San Marco 4303 (vaporetto line 1 or 2 to Rialto), ☎ +39 041 3096605. Daily 10:00-13:30 and 14:00-18:00. A cylindrical tower with a spiralling series of arches, among the most characteristic examples of Venetian architecture at the period of transition from Gothic to Renaissance styles. From the top there are great panoramic views of the city. Adults €7, reduced €6. 58 Music Museum (Museo della Musica), Chiesa di S.Maurizio, Campo di S.Marizio, San Marco 2603 (near Campo Santo Stefano; vaporetto line 1 to S.M-.del Giglio or line 1-2 to Accademia), ☎ +39 041 2719012. Daily 09:30-19:00. Beautiful church, collection of musical instruments, Venetian Baroque paintings. Interpreti Veneziani, the creators of the Music Museum, also offer concerts in the nearby San Vidal church. Free. 59 Palazzo Grimani, Ramo Grimani, Castello 4858 (near Campo Sta. Maria Formosa; vaporetto line 1 or 2 Rialto or Zaccaria), ☎ +39 041 5200345 (Call center). M 08:15-14:00, Tu-Su 09:00-19:00, closed Dec 25, Jan 1, May 1. A jewel of Renaissance architecture that has been opened as a Venetia civic museum recently, collections of paintings, archaeological collection of Greek and Roman artefacts, temporary exhibitions. €4, reduced €3, combined with Accademia €13, reduced €11. 60 Archaeological Museum (Museo Archaeologico Nazionale), Piazetta San Marco, San Marco 52 (Vaporetti line 1 or 2 to San Marco), ☎ +39 041 5225978. 10:00-18:00. Collection of ancient Greek and Roman sculptures, Egyptian, Assyrian and Babylonian artefacts. € 4, reduced €2. St.Mark's Basilica Museum (Basilica di San Marco -Museo), Piazza San Marco, San Marco (vaporetto line 1 or 2 to San Marco or Zaccaria), ☎ +39 041 2708311. 09:45-16:45. Visit the famous bronze horses. €5.00, reduced €2.50. 61 Scuola Grande di S.Giovanni Evangelista, San Polo 2454 (vaporetto line 1 or 2 ro San Tomà), ☎ +39 041 718234. occasional 09:30-17:00. Monumental staircase by Codussi, splendid San Giovanni Salon, Oratory of the Cross with precious reliquiaries. €5. 62 Scuola Dalmatina di San Giorgio e Trifone, Calle dei Furlani, Castello 3259/A (vaporetto line 1-5 or 1-5-2 to S.Zaccaria), ☎ +39 041 5228828. Tu-Sa 10:00-12:30 and 15:00-18:00, Su 10:00-12:30, closed M. Famous painting cycle by Vittore Carpaccio depicting the lives of St.George, Tryphon and Jerome. Adults €4, reduced €2. 63 Scuola Grande dei Carmini, Dorsodure 2617 (near campo Santa Margherita) (vaporetto line 1 to Ca' Rezzonico), ☎ +39 041 5289420, e-mail: info@scuolagrandecarmini.it. Daily 11:00-16:00, closed Dec 25, Jan 1. Painting cycles dedicated to the Madonna del Carmine, canvases by Tiepolo and Padoviano. €5, reduced €4. 64 Oratorio dei Crociferi, Campo di Gesuiti, Canareggio 4905 (vaporetto line 1), ☎ +39 041 5322920. F Sa 10:00-13:00 and 14:00-17:00, otherwise only by reservation. Small oratory facing the old monastery dei Crociferi, painting circle by Palma the Younger. Adults €3. 65 San Michele Cemetery (Cimitero di San Michele), Isola di San Michele (vaporetto line 4.1-4.2), ☎ +39 041 7292811. Apr-Sep: 07:30-18:00; Oct-Mar: 07:30-16:30. Cemetery established following Napoleon Bonaparte's edict of 1804, part of the European circuit of monumental cemeteries. The Russian ballet dancer Serge Diaghilew, the Austrian physicist Christan Doppler, the American poet Ezra Pound, the Russian composer Igor Stravinsky and the German-Italian composer Ermanno Wolf-Ferrari are buried in San Michele Cemetery. Free. Old Jewish Cemetery (Antico Cimitero Ebraico), Lido. Jewish cemetery dating from 1550 to early 18th century. See Lido for details. 66 Marciana National Library (Sala Monumentale della Biblioteca Nazionale Marciana), Piazetta San Marco, San Marco 7 (vaporetto line 1 or 2 to San Marco), ☎ +39 041 2407211. 08:15-10:00, 17:09-19:00. Buildings by Sansovino, most important collection of books in Venice. €4, reduced €2. 67 State Archive (Archivio di Stato di Venezia), Campo dei Frari, San Polo 3002 (vaporetto line 1 or 2 to S.tomà), ☎ +39 041 5222281. M-Th 08:10-17:50, F Sa 08:10-13:50 (reading room). One of the largest archives in the world, in an old Franciscan monastery. Manuscripts, texts and documents related to the history of the Venetian Serenissima. Free. ASAC Library (Biblioteca ASAC - Archivo Storico Arti Contemporanee della Biennale di Venezia), Padiglione centrale, Castello ((side entrance near Sant'Antonio) vaporetto line 1 or 2 to Castello), ☎ +39 041 5218790. Tu-F 10:00-17:00. An annex at the Biennale gardens where the Biennale keeps records related to the Biennale exhibitions and to 20th century art, from 1895 onwards. Fondazione Querini Stampalia. See above under Museums. La Biennale di Venezia is one of the most well-known culture institutions. Two events organised by Biennale are the Art and Architecture International Exhibitions happening alternately (Architecture Biennale in even years, Art Biennale in odd) but other fields are also covered - contemporary theatre, dance, music, cinema (Venice International Film Festival). Exhibitions take place mostly in two locations: 1 Arsenale and 2 Giardini. They are both worth visiting even when no event is scheduled. Arsenale is the largest pre-industrial production centre in the world, dating back to 13th century, and Giardini is architectural gem filled with national pavilions from different parts of the world, often designed by famous architects, it was a venue for the International Art Exhibition since the 19th century. Art Biennale (Esposizione internazionale d’arte): 11 May – 24 November 2019, ☎ +39 041 5218711, e-mail: aav@labiennale.org. is held at Arsenale (vaporetto line 4.1 and 4.2 to Arsenale) and Giardini (vaporetto line 4.1 and 4.2 to Giardini). The Central Pavillion and the pavilions of Australia, Austria, Belgium, Brasil, Canada, Czech Republic, Denmark, Egypt, Finland, France, Germany, Great Britain, Greece, Hungary, Israel, Japan, Korea, The Netherlands, Nordic Countries, Poland, Romania, Russia, Serbia, Slovak Republic, Spain, Switzerland, United States, Uruguay, Venezuela and the pavilion of Venice are located in the Giardini. The Biennale is open every second year from beginning of June to mid November, Tu-Su 10:00-18:00. Admission is €30 (two days) (multiple entries) (ID required), €25 (one day) (single entry to each venue), €20 (over 65), €14 (students). There are many other exhibitions (collateral events) all over the city, often permitting to visit buildings which normally are not open to the public. Online guides to the exhibits are not substantive. The British Council provides a comprehensive guide to all exhibits available at the British pavilion at the Giardini. The Concordia/Antarctic Exhibition has closed early. Carnival of Venice (Carnevale di Venezia). Annual festival that is world famous for the carnival masks. 3 La Fenice Theater (Teatro La Fenice), Campo San Fantin, San Marco 1965 (300 m west of San Marco square), ☎ +39 041 786511, e-mail: info@teatrolafenice.org. One of the best opera houses in the world. Info at Bigletteria Hello Venezia Call Center tel +39 041 2424. You can also visit this historic theater with an audioguide (good explanations in several languages). The theater is an identical reconstruction (rebuilt in 2003) of the previous theater building that burned down in 1996. Tours: adults €10, students up to 26 and seniors over 65 €7, children up to 6 free. Slightly cheaper if purchased as part of a combined ticket with the Doge's palace. 4 Teatro Malibran, Campo del Malibran, Canareggio 5873 (vaporetto line 1 or 2 to Rialto), ☎ +39 041 2424. Scuola Grande di S.Teodoro, Campo San Salvador. Opera and concert performances. €40, reduced €30. Ateneo San Basso, Piazetta del Leoncini, San Marco (vaporetto line 1 or 2 to San Marco or S.Zaccaria), ☎ +39 041 52 82 825, e-mail: info@virtuosidivenezia.com. Classical concerts. €25, reduced €20. 5 Chiesa San Vidal, Campo San Vidal, San Marco 2862/B (vaporetto line 1 or 2 to Accademia), ☎ +39 041 27770561, e-mail: info@interoretiveneziani.com. Classical concerts by Interpreti Veneziani. They also run the nearby Music Museum in the nearby San Maurizio church. Adults €29, reduced €24. Chiesa della Pietà, Riva degli Schiavoni (vaporetto lines 1, 5.1, 5.2, 4.1, 4,.2 to San Zaccaria). €25, reduced €20. 6 Scuola Grande dei Carmini, Campo Santa Margherita, Dorsoduro 2616-2617, ☎ +39 041 5289420, e-mail: info@scuolagrandecarmini.it. Daily 11:00-17:00. €5 full price; €4 concession. Take a gondola if you can afford it: it's expensive, but the Gondoliere may decrease the price if you ask (but they can also decrease the time...). Make sure you reach an agreement on price and time before you start! A good tip with the Gondolieres is to bargain the price down as low as you can, then say that it's still too much and walk away. Two or three of them will chase after you, one after the other, each offering a lower price than the last. It's possible to knock €20-€30 off the price (even then, be prepared to shell out €80). Some guidebooks discourage tourists from asking for gondola price reductions. The oarsmen have an informal habit of cutting the most interesting and little-known parts from the journey path for "discount" customers. Reduced rate riders get much less marvel in exchange for a moderate price drop, which may not be worth it. Gondolier-for-hire business licenses are officially limited to just 430 to 455 rowers in Venice, making the market artificially scarce and inflating prices. Gondola rides are always costly, often in a princely way and that expense should be planned in advance of the visit. If you go as a group it might be cheaper, though the number of people who can be accommodated on a gondola varies, usually up to a maximum of six seated passengers. The "traghetti" holds more, mostly standing, as a pair of gondoliers rows short distances for canal crossing purposes at a number of points along the Grand Canal. Venetians and especially the gondoliers among them have highly conservative ideas about society: by 900 years of tradition, all gondoliers must be male and most are born locals. There are only a few Germans in the business and a single lady, Alexandra Hai, who couldn't manage a for-hire license even after 10 years. She is officially allowed to carry guests of her contract hotel only. Il Burchiello, Via Porciglia 34, 35121 Padova, ☎ +39 049 8760233, fax: +39 049 8763410, e-mail: info@ilburchiello.it. Tu Th Sa Full day Venice to Padova. Depart from Riva degli Schiavoni at 09:00, arrive Padova at 19:00 with guided to of Villa Foscara (“La Malcontenta”), optional lunch at restaurant “Il Burchiello” in Osiago, guided tour of Villa Widmann in Mira and Villa Pisani in Stra, Wed, Fri and Sun from Padova to Venice. Offers a very rewarding full day excursion to the Palladian Brenta Villas from March to October. The Burchiello was a typical Venetian barge, finely wrought and decorated, used to transport passengers and equipped with a wide wooden cabin, and three or four balconies. It was used by the richest classes of Venice to reach the city from their villas in the countryside. Today the Burchiello is a modern and comfortable boat, equipped with a cabin and comfortable sofas, air-conditioning, a bar and toilets, and a panoramic deck. Il Burchiello offer navigation from Padua to Venice (Padua, Stra, Dolo, Mira, Oriago, Malcontenta, Fusina, Venice) or from Venice to Padua (Venice, Fusina, Malcontenta, Oriago, Mira, Dolo, Stra, Padua), plus the guided tour inside some Venetian Villas, the famous richly-frescoed summer dwellings of the Venetian noblemen of the 1700s. Adults €99, optional lunch €22. If you are looking for something to do, you can always shop. Venice is packed full of little stores in every corner and crevice. The commonest local specialties are Carnival masks, glass, and marbled paper. Price can vary wildly, so it's a good idea to hold off buying until you have a fair idea about the relative value of things. As is the case with most tourist cities, a lot of the "original" and "made in Venice" items are actually made in China. Murano is an island famous for its glass making. Almost in every shop you will find "original Murano glass" items. 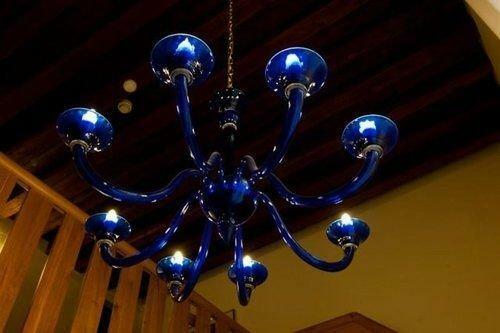 If it was really made in Murano, it would be prohibitively expensive, with prices routinely running into thousands of euros. So if you are looking for cheap souvenirs, real Murano glass is not the thing to buy! You can also see glass making demonstrations in Murano, but be sure to check that there is a demonstration scheduled for that day. And it is normally not done in winter either. While going through Venice, make sure you take in the beauty of it all. Walk through the alley ways, and take the water taxi to different parts of the island, sometimes at night you can just go sit in an open area and watch locals and tourists passing by. It is wonderful. There are many museums and churches that are around the city that allow tourists to go in a visit. They are many great sights to keep you busy throughout your visit. Because Venice is now pretty much only inhabited by tourists and people serving the trade, it gets very quiet by 21:00 and there is very little to do in the evening (outside of eating). There are a few exceptions, like some classical music concerts, which most probably only play Vivaldi. Send a Postcard or even better, an entire letter dedicated to a loved one (the old "snail mail" one, not the electronic variety)! Venice has a long, celebrated tradition in postal services, paper and written communication in general (including one of the earliest medieval book printing houses). Venice it's also Riviera del Brenta old canals. The Riviera del Brenta is famous for its extraordinary Palladian villas along the Brenta river, its museums and historical buildings and it is 40 km (25 miles) from Venice. This Riviera and its mainland include 7 small cities: Stra, Fiesso d’Artico, Dolo, Fossò, Mira, Oriago and Malcontenta. These places are good for cycling excursions and to see antique Palladian Villas built on the Brenta river. In Stra village, there is the famous gardens of Villa Pisani and the museum of the shoes is in Villa Foscarini Rossi. In this last museum you can admire 1,500 models of Italian-made shoes created in local factories for major brands including Fendi, Genny, Yves Saint Laurent, Givenchy, Ungaro, Anne Kleyn, Richard Tyles and Vera Wang. In Dolo village you can visit the square, old watermill (XI century) and big open air market. Teatro San Gallo, ☎ +39 041 2412002. Nov-Apr: 19:00, May-Oct: 20:00. Half-hour documentary based on the BBC series Francesco's Venice - an 'amazing film that puts the spectacular beauty of this great city in historical context'. Film in English, audioguides in Italian, Russian and Spanish. €39, seniors €35, students €25, children €15. Venice is home to two major (and expanding) public universities, Università Ca' Foscari Venezia and Università Iuav di Venezia. There are possibly hundreds of smaller schools in the city. Neither university exploits its name for merchandising, and "Università degli Studi di Venezia" sweatshirts for sale at stalls are not only unlicensed, but there is no single university in the city with that name to begin with. Venice has always been a city of merchants. Consequently, most of the Venetians working in Venice still own or work at a shop. If the pride of the Republic of Venice was the extreme diversity and quality of goods and services which could be found in Venice, these days, however, mass tourism led Venice to be populated with many shops selling low-quality souvenirs. The local shops are suffering a lot from this situation and it is not easy to identify them within the crowd of shops selling harmful imported goods. Buying from the authentic local businesses has never been more important as it is essential to the future of the Venetians and guarantees you to get the real thing and to have a much better experience of Venice. It is not easy, though. Thankfully, there is a social enterprise based in Venice, which works closely with the Venetian business owners (shops, restaurants and bars included). They have a certification process where the local artisan shops attest and commit to be selling products both authentic and sustainable as well as to give a 10% discount to the customers carrying a Venezia Autentica Friends' Pass (buyable online for only 10 euros). Fanny (gloves & accessories), Calle dei Saoneri, San Polo 2723 (100m west of Cà Foscari, near Campo San Polo), ☎ +39 041 5228266, e-mail: fannygloves@hotmail.it. Hundreds of leather gloves in all colours. Francis Model (leather articles), Ruga Rialto, San Polo 773/A (100m SW of Rialto bridge), ☎ +39 041 5212889, e-mail: ruggero.dezorzi@libero.it. Locally made leather bags. Exceptional craftsmanship. There are reports that some travellers were cheated in this store, by being told that transaction didn't occur while using their credit card, and demanded cash while in fact transaction did occur properly and thus having made the travellers pay for the same item twice. 1 I Tre Mercanti, Ponte della Guerra, Castello 5364 (Between Rialto and S.Marco square, near Campo della Guerra), ☎ +39 041 522 2901, e-mail: info@itremercanti.it. 11:00-19:00. Here you can find a special selection of the best Italian food and drinks products. Well known for their amazing single portion Tiramisù. If you don't feel like shopping you can always browse the shop and ask cooking tips and the history of products. They can supply yachts, make exclusive gift packages or hampers for companies, and ship worldwide. Don't miss the Rialto market on San Polo, the smallest sestiere. The Rialto market is for shoppers. To the east is a neighborhood of small shops and restaurants; to the west is the Rialto farmers' market. Shopping is slightly less expensive than in the tourist-filled Piazza San Marco. L’Isola, Calle de le Botteghe, San Marco 2970, ☎ +39 041 523 1973, e-mail: info@lisola.com. Archimede Seguso, San Marco 143, ☎ +39 041 5289041. Venini, Piazzetta Leoncini, San Marco 314, ☎ +39 041 5224045, e-mail: venezia@venini.it. 1 La Bitta, Calle lunga de San Barnaba, Dorsoduro 2753A, ☎ +39 041 5230531. Meals served 18:00-23:00, closed in August. This busy but friendly restaurant is in the more studenty area of Dorsoduro, and attracts a mixture of locals and tourists. They have some excellent Italian dishes, which are reflected in the prices, plus they have a great selection of wines. Osteria Ae Cravate, Santa Croce 36/37 (500 m east from Piazzale Roma). This little restaurant is frequented by the professors of the nearby university. Warm welcome and a good eat. Try their raw artichoke salad or their fish of the day. €40 for a three-course meal with wine. Do Farai, Dorsoduro 3278 (100m west of Cà Foscari), ☎ +39 041 2770369. Very fresh shell fish. Taste their spaghetti al dente with razor shells. Osteria Enoteca Ai Artisti, Dorsoduro 1169A, ☎ +39 041 5238944. An excellent restaurant, small but comfortable with a few tables alongside a tiny canal. Food is fresh and delicious, not too expensive. Large selection of wines. Menu changing daily. Meals from €15-25. Gianni, Zattere 918, ☎ +39 041 5237210. They are closed on Wednesdays and between Christmas and Festival. This is a very friendly family restaurant overlooking the Guidecca Canal. The wine selection is good with many available in a choice of 250 mL, 375 mL and 750 mL bottles. The interior is almost art deco and surprisingly light. It is used by a lot of regulars, both local and returning tourists. The menu starts at €8.50 pizzas and pastas. Osteria Mocenigo, Salizada San Stae (near the Mocenigo museum), ☎ +39 041 5231703. Tu-Su. Little restaurant frequented by locals. Be sure to try their antipasti. Excellent desserts too. €40 for two-courses meal with wine. Pane Vino e San Daniele, Campo dell'Angelo Raffaele, Dorsoduro 1722, ☎ +39 041 523 7456. A short walk from the Vaporetto stop at San Basilio on the Dorsoduro. Delightful trattoria with cosy Alpine interior and piazza seating in good weather, featuring a menu of Puglian, Sardinian and Venetian specialities. No fish, excellent wines and a highly trained dessert chef, with gluten-free, dairy-free and diabetic options available on request. Good English, Spanish, French and German spoken by the friendly owners. €45 for a three-course meal with wine, water and coffee. 2 Timon (eno - ostaria), Fondamenta degli Ormesini, Cannaregio 2754 (south-east of the Jewish Ghetto). Warm and local atmosphere in this little osteria where they serve great Italian vintages by the glass. If you're adventurous, try their tasty tripe. Good music inside, some table by the canal in the summer. €30. Al Vecio Canton, Castello 4738 (just 8 minutes from Piazza San Marco (200 m NE)), ☎ +39 41 5287143, e-mail: info@veciocanton.it. M W-Su 12:00-15:00, 18:30-22:30. This small and atmospheric restaurant/pizzeria will absolutely enchant you. Famous for its traditional style pizza and seafood pasta, you will not only get it all at affordable prices (pizza from €7.50, pasta from €10, wine from €5/half litre), but you're also served by a most friendly and hearty staff. They top it off with a free home made digestivo (mostly vodka and lemon) at the end of your meal, just to make 100% sure you'll be coming back for more. Pizza from €7.50; pasta from €10. Trattoria Veneziana, Santa Croce 285 (200m SE of Piazzale Roma), ☎ +39 041 710749. Warm welcome, good cooking (try their mixed grilled fishes), frequented by locals and tourists. €35 for two-course meal with wine. Vino Vino (between La Fenice Opera House and via XXII Marzo), ☎ +39 041 2417688, e-mail: vinovino@anticomartini.com. Daily 11:30-23:30. Offers typical Venetian cuisine and snacks at medium prices. The largest selection of top-quality Italian and imported wines (over 350) available by the glass or by bottle. Close to St. Mark's Square, it is a unique place that can exist only in Venice, where backpackers chat with baronessas, gondoliers with golfers, and where Venetians discover new vistas. Il Refolo, Santa Croce 1459, ☎ +39 041-5240016. Nice restaurant at a small piazza. Very good pizza as well as a decent menu. Pizza about €10, four-course meal with wine €60. Antico Martini, Campiello della Fenice, San Marco 2007, ☎ +39 041 5224121, fax: +39 041 5289857, e-mail: info@anticomartini.com. Open all days. (Since 1720) A luxury restaurant, favorite among the famous names of culture and business, the Antico Martini also attracts expert gourmets and famous personalities since the 1800s who come to enjoy unforgettable flavors. Beautiful detail and restaurant decor, romantic atmosphere. Restaurant Antiche Carampane, San Polo 1911, ☎ +39 041 5240165. In the heart of Venice, steps away from the Rialto Bridge, is this renowned restaurant where distinguished Venetian cuisine is served in a familiar setting. 3 Restaurant La Caravella, Via XXII Marzo, San Marco 2399, ☎ +39 041 5208901. Open every day all year round. Historical place, very near St. Mark's Square, known since the 1960s, it has become a must if you like traditions. Offers some typical dishes and a large selection of wines. From May to September service is in a traditional courtyard. 4 Vecio Fritolin, Calle della Regina, Santa Croce 2262, ☎ +39 041 5222881, e-mail: info@veciofritolin.it. 12:00-14:30 and 19:00-22:30. Historical restaurant in Venice serving the best traditional Venetian cuisine, revisited with light-hearted creativity, serving up new and exciting interpretations of Venetian culinary traditions. €60 for a two-course meal. Pasticceria Tonolo, Dorsoduro 3764/5 (Crosera San Pantalon, 400m east of Piazzale Roma), ☎ +39 041 523 7209. A patisserie founded in the late 19th century. Taste their cake with crystallized fruits or their marzipan cake. Bar Pasticceria Gilda Vio, Rio Marin, Santa Croce 784. Best tiramisù, at least in S. Croce. You will find ice cream all over the city, and you will hardly survive a hot summer day without it. Prices are €1.00-1.50 for one scoop, €2.50-3.50 for three scoops. Alaska, Santa Croce 1159 (close to the railway station), ☎ +39 041 00715211. 14-24 roughly. Ice cream made with natural ingredients by Carlo Pistacchi, not only the owner but an artist, a poet and a philosopher. E Rosa Salva. One of the favorites is the mini-chain "E Rosa Salva", with three locations in the center - on C. Fiubera (from Piazza San Marco, take the underpass in the middle of the arcade, cross the bridge and take second right off C. Fabbri), Merceria S. Salvadore (off the campo of the same name), and right on Campo San Zanipolo (to the right of the church looking from the canal); the last one is a gelateria as well. For your €1 you'll get exactly 2 and a half sips at the bottom of a small cup, with rich crema and no bitterness. Assorted house-made sweets are €1.10. Caffe Paolin, Santo Stefano, San Marco 3464, ☎ +39 041 5220710. Caffè Florian, Piazza San Marco, 57, ☎ +39 041 5205641, e-mail: servizi@caffeflorian.com. M-Th 10:00-21:00; F Sa 09:00-23:00; Su 09:00-21:00. On the extravagant side there is Caffè Florian, on Piazza San Marco. It claims to be the oldest coffee house still in operation, established in 1720. The interior is about a century newer, and brings an exclusive setting for a cup of coffee, even if sitting outside overlooking the entire piazza and its surroundings may be a better choice on a nice summer day. The café has its own outdoor orchestra playing an assortment of Italian music. Just sitting down at the table costs €6 per seat (for the orchestra it says on the menu) and the rest on the menu is at least twice the price you would have paid at home. Light lunch or dinner 12:00-15:00, 19.30-22:00, afternoon tea 15:09-18:00, great choice of semifreddo (parfaits) (€14.00), lemon ice cream with soda (€15.00), great choice of tea and coffee specialities; espresso €6.50. music charge €6.00. Caffe Quadri, 120, Piazza San Marco, ☎ +39 041 5222105. Opposite Caffè Florian, with similar prices. There are two late-night drinking areas in Venice. Piazza San Marco is not one of them, although it is very pleasant with many people wandering around late. The actual late night scene is in either Campo Santa Margherita, near the University Ca' Foscari in Dorsoduro; or in Erbaria on the West side of the Rialto Bridge where the main vegetable market is held during the day. Even though there are many fantastic bars in Venice, if you're planning a night time "pub crawl" you should plan a few places to visit in advance, otherwise it's very easy to waste an hour wandering aimlessly in search of a watering hole that's actually open, especially midweek. Locals in search of nighttime entertainment mostly head over the bridge into Mestre, or hop on the boat to Lido. One exception: F.ta della Misericordia, in Cannaregio (north from the Ghetto over the Ghetto Nuove bridge, turn right), features several bars in succession, anchored by the Paradiso Perduto (Cannaregio 2640; a restaurant by day, live music on Sundays starting at 21:00), along the canal. In season they are spilling over after dark with youths holding large glasses of rosé, while more of those same youths are cruising (in motor boats) blaring rap songs in Italian from the loudspeakers. The cafes and bars lining the expansive C. Santa Margherita are catering to the students from the nearby university; chill out to reggae sets in Caffé Rosso (Dorsoduro 2963; it's the one with the red awning that simply says Caffe), or dance (Saturdays only) at Round Midnight (Dorsoduro 3102). Those looking for LGBT nightlife in Venice will be disappointed. Hop on the train to Padua instead. Bistrot de Venise, Calle dei Fabbri, San Marco 4685. 22:00 until late night. Restaurant, cultural and enogastronomical meetings. Pub Taverna L'Olandese Volante, Campo San Lio, Castello 5856, Venezia, ☎ +39 041-5289349. It is between the Rialto Bridge and Piazza San Marco. During the summertime there are tables outside when you can easily sit and rest after a day of wandering around this marvelous city. What is more, during the day pasta and other typical dishes are served at a budget price. There are two Irish pubs in Venice. One is located along the Strada Nova in Cannaregio; the other one is the Inishark just before Campo Santa Maria Formosa. 1 Al Parlamento, Fondamenta Savorgnan 511 (Cannareggio canal, not far from the train station). Great place for a spritz, a coktail, a beer or a glass of wine looking at the Cannaregio canal. €6 cocktails. Due to the historic city's constrained area and international popularity, hotels are expensive. Bed and Breakfasts and guesthouses offer better rates, and real budget solutions (like campings and hostels) can be found on mainland Venice and Lido. These are worth considering since historic centre is quite well connected with bus and ferries, so staying outside is not such a big problem. In the last few years, holiday or short rentals apartments have increased in number and quality, now you can rent (minimum stay is usually 3 nights) a Palazzo on the Grand Canal as a little flat near Rialto. Ancient Venice Bed and Breakfast, Dorsoduro 3171 (in front of "Campo San Barnaba" and around the corner from Campo Santa Margherita), ☎ +39 3279824052. Has a mosaic marble floor ("terrazzo veneziano"), dated 1826 and offering a panoramic view. On the first floor there's a nice Tea Room where you can have breakfast and relax. Bed and Breakfast Venice Ca' del Pozzo, ☎ +39 041-2413875, fax: +39 041-2443203. Completely restructured in 2003, in the characteristic Campo San Maurizio. Bed and Breakfast Ca' delle Acque, ☎ +39 041-2411277, fax: +39 041-2414112. Rooms from €69. Bed and Breakfast Ca'Dor, ☎ +39 392 3906152. Venetian style rooms in the centre, 3 minutes from Rialto's Bridge. Rooms from €35. BedandBreakfastVenice Querini San Marco, Castello 3520, ☎ +39 339 5309009. Studios from €80. Faronhof b&b, ☎ +39 041-428363. British family-run B&B. Rooms from €45. Ai Do Mori, San Marco 658, ☎ +39 041 5204817, fax: +39 041 5205328. As close as it gets to Piazza San Marco, but on the second and third floor, so it still is quiet at nights. Clean and nice rooms, TV, aircon, very friendly staff. Doubles from €55. 1 Alloggi Agli Artisti, Calle Priuli Cavalletti, Cannaregio 99 (150 m away from the main railway station (Santa Lucia)). Guests can choose between rooms with bathroom en suite (with hairdryer), and rooms with sharing bathroom on the floor (cheaper). From €50 to €90 for a double room, depending on the season. Antico Fiore, San Marco 3486, ☎ +39 041-5227941, fax: +39 041-2413879. An 18th-century building which has been carefully restored. Rooms from €65. Astoria, Calle Fiubera, San Marco 951, ☎ +39 0415225381, fax: +39 0415288981. 2-star hotel. It has Wi-Fi at a fee and rooms from €70. Ca' Contarini, Calle dei Orbi (Corte de la Vida), San Marco 3025, ☎ +39 327-8455991, e-mail: tfleming6@hotmail.com. Check-in: 12:00, check-out: 10:30. A small, quiet establishment in a five hundred year old building. Both shared and private rooms are available, no curfew-lockouts, including free Wifi, coffee/tea, and light breakfast. From €70 per person/night. Ca' Rialto, Riva del Ferro, San Marco 5149, ☎ +39 041-5209166, fax: +39 041-5238958. In a building overlooking the Grand Canal and Rialto Bridge. Singles from €50, doubles from €60 (extra bed €30). Hotel Diana, Calle Specchieri, San Marco 449 (100 yards from the front entrance to the Basilica San Marco), ☎ +39 041-5206911, fax: +39 041-5238763. Rooms at around €70 per person. Hotel Domus Cavanis Venice, Dorsoduro 896, ☎ +39 041 5287374, fax: +39 041 5280043. All the 35 bedrooms of the Domus Cavanis Hotel have a private bath. Double room from €40. Triple from 60. Breakfast included. Hotel Serenissima, Calle Goldoni, San Marco 4486, ☎ +39 041 5200011, fax: +39 041 5223292. Completely refurbished at the start of 2007 and is a one-minute walk from the Piazza San Marco. Rooms from around €80 per person. Locanda Gaffaro, Dorsoduro 3589, ☎ +39 041-2750897, fax: +39 041-2750375. In a picturesque court near Piazzale Roma. Doubles from around €100. Locanda Sant'Anna, C.te del Bianco, Castello 269. One star. Provides a family atmosphere with modern comforts. Quiet hotel with secure courtyard and some rooms with a canal view (for a higher price) overlooking the Isola di San Pietro. Common balcony over the canal. 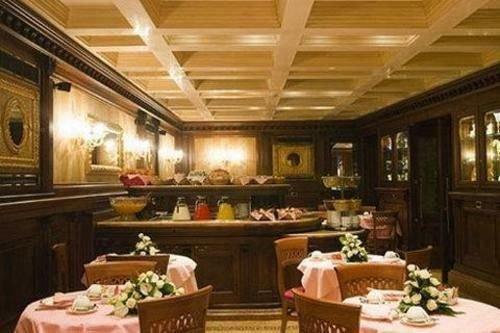 Includes typical Italian breakfast from 08:00-09:30 with coffee or hot chocolate and rolls, croissants, and toast. Easily accessible from the main bus/train station by vaporetto to stop 'S. Pietro' or 'Giardini'. Doors close at 01:00. Pay in cash for a discount. Single from €35, double from €45. 2 Pensione Seguso Venice, Dorsoduro 779, ☎ +39 041 5286858, fax: +39 041 5222340. Traditional Italian Pensione overlooking the waterfront close to San Marco. A building and hotel with a long history, the spacious and light rooms start from €60 per person. Residenza Laguna Venice, San Polo 1016, ☎ +39 041 2960575, fax: +39 041 2447441, e-mail: residenzaprenotazioni@gmail.com. Little B&B close to Ponte Rialto bridge with spacious and stylish rooms. Nice family run accommodation starting from €70 a head. Ateneo Hotel Venice, San Marco 1876, ☎ +39 041 5200777, fax: +39 041 5228550. 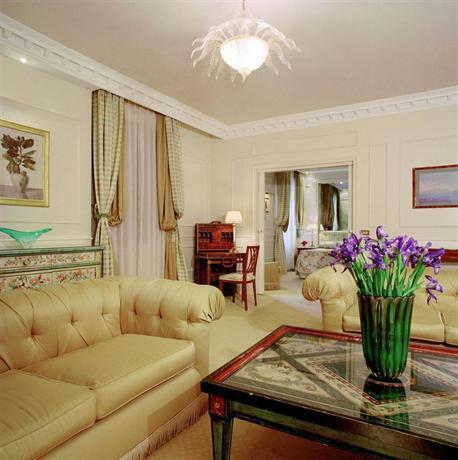 3-star hotel close to Basilica San Marco. Rooms start at around €120 depending on season. Alcyone Hotel Venice, Calle dei Fabbri, San Marco 4712, ☎ +39 041 5212508, fax: +39 041 5212942. Its 26 bedrooms are divided in single, double, triple and superior. All with en suite services, shower, telephone, satellite TV and air conditioning. €240. Antica Casa Carettoni Venice, Lista di Spagna, Cannaregio 130, ☎ +39 041 716231, fax: +39 041 2750973. Close to Santa Lucia Train Station and the waterbus stops. 3 star hotel in an old convent offers accommodation starting at around €120-130 for a double room. Antica Casa Coppo, San Marco 4320/1/2, ☎ +39 041 5233585, fax: +39 041 2770843. 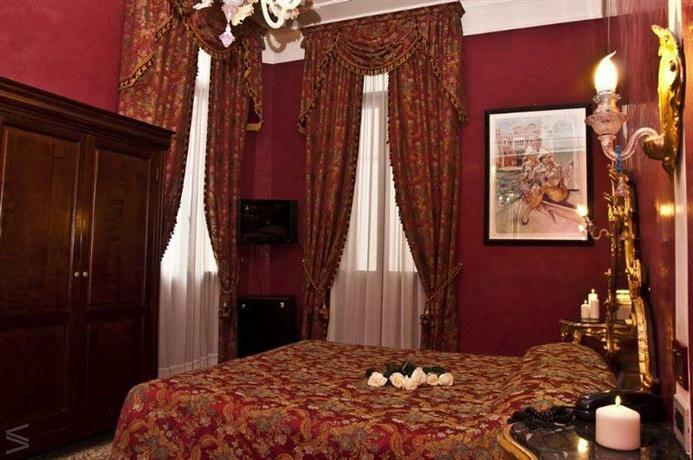 Classic Venetian styled rooms starting at €100 a night. Near the Rialto Bridge. Wi-Fi. Antico Casin Locanda, Corte Contarina, San Marco 1520/a, ☎ +39 041-5207002, fax: +39 041-795122. A refined example of contemporary design, located close to Saint Mark's Square. Doubles from €90. Ca' Valeri, Ramo dei Corazzieri, Castello 3845, ☎ +39 041 2411530, fax: +39 041 2415392. 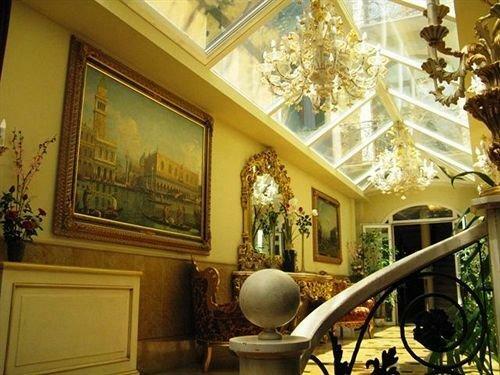 Residence where an atmosphere of charm and comfort defines an ambience of class. Double from €100. Ca' Amadi, Cannaregio 5815, ☎ +39 041-5204682, fax: +39 041-5206701. In the old town centre, close to the famous Rialto Bridge. This 13th-century palace was once home to Marco Polo. Décor is keeping with the period, and the rooms are utterly charming. Original wall frescoes from the 1400s adorn the hotel. Ca' Bauta, Castello 6457, ☎ +39 041 2413787, fax: +39 0415212313, e-mail: info@cabauta.com. Housed in a 15th-century building, this quaint hotel has very spacious rooms with high ceilings and is adorned with stylish furniture and fittings. Has a friendly, multilingual staff who are always eager to assist you in planning tours, booking concert tickets, and making restaurant reservations. Rates from €70 per night. Ca' Della Corte (B&B + apartments), Corte Surian, Dorsoduro 3560 (300 m SE of Piazzale Roma), ☎ +39 041-715877, fax: +39 041-722345, e-mail: info@cadellacorte.com. A comfortable B&B in a quiet area. Warm and personal welcome. Breakfast (served in the room) could be improved (by going to pasticceria Tonolo and bringing your own cakes, e.g.). Junior suite €140. 3 Ca' Zose, Dorsoduro 193/B (Calle del Bastion) (walk west from Salute vaporetto stop), ☎ +39 0415226635, fax: +39 0415226624, e-mail: info@hotelcazose.com. A quiet street off S.M. Salute, by the S.M. Giglio traghetto (when it's operational, 50 cents will get you to S. Marco), within easy walk of either Accademia or the Zattere (no need to brave the hordes of tourists on the #1 line, take the #52 from bus or train station). The helpful staff speaks Italian, English, French and Veneto. 10% discount on rates if paid in cash - ask Walentina, the proprietress. All rooms are named after stars (in the sky, not of movie kind), and all have A/C (indispensable in summer). Buffet breakfast included. Doubles from €90 in season. Continental Hotel Venice, Lista di Spagna, Cannaregio 166, ☎ +39 041 71 5122, fax: +39 041 524 2432. Three-star hotel in the Jewish Ghetto. A historic building belonged to a noble family, with 93 bedrooms (€95-194) capable to host any kind of guests. Corte 1321, San Polo 1321 (near the Rialto Bridge), ☎ +39 041 5224923, fax: +39 041 0997849. Large spacious rooms with double sink bathrooms ensure a comfortable stay. Lovely courtyard for dining is made memorable with local birds strutting and cooing. Double rooms from €100. Domus Ciliota, Calle delle Muneghe, San Marco 2976. A 5-10 minute walk from San Marco's Square. The hotel has over fifty clean, basic, air-conditioned rooms all with shower and WC. The 24-hr reception is English speaking. There is an area for leaving baggage after you've checked out. Single rooms are €70-85 and doubles are €100-110 including breakfast. Hotel al Sole, Santa Croce 134/136, ☎ +39 041-2440328, fax: +39 041-722287. 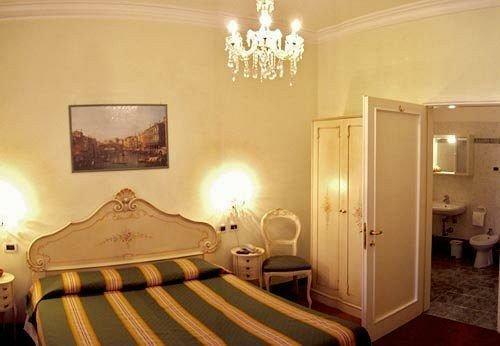 Hotel is in a noble palace built in the beginning of the 15th century, a short distance from Piazzale Roma. Doubles from €80. Hotel Ala, Campo Santa Maria dei Gigli, San Marco 2494, ☎ +39 041 5208333, fax: +39 041 5206390. Eggs and broiled tomatoes with cheese for breakfast. Rooms were a typical size but clean, comfortable and quiet. They have turndown service at night, a pleasant surprise. Double rooms from €110. Hotel Alla Salute (also known as 'Da Cici'), Fondamenta Ca' Balà, Dorsoduro 222, ☎ +39 041-5235404, fax: +39 041-5222271, e-mail: info@salutepalace.com. A 16th-century palazzo, a stone's throw from Piazza San Marco. It has been the house of the famous poet Ezra Pound. Pretty comfortable and quiet budget hotel. Garden for breakfast. Doubles from €50. Hotel All’Angelo Venice, San Marco 403, ☎ +39 041 5209299, fax: +39 041 2743555. Run by the same family since 1924 in a 17th-century building close to St Marks Basilica. Comfortable and stylishly decorated rooms with a double somewhere in the region of €150. Hotel Antica Locanda al Gambero, Calle dei Fabbri, San Marco 4687, ☎ +39 041 5224384, fax: +39 041 5200431. Single rooms from €90, double from €110 (€150 rooms facing the Canal). Hotel Antico Panada, San Marco 646, ☎ +39 041-5209088, fax: +39 041-5209619. Has rooms decorated in an 18th-century Venetian style. Double room from €145 to €310. Ca' Gottardi, Cannaregio 2283, ☎ +39 041 2759333, fax: +39 041 2759421. Antico Palazzo Gottardi stands in Strada Nuova, between two buildings that look down onto the Canal Grande. Double from €120. Hotel Basilea Venice, Rio Marin, Santa Croce 817, ☎ +39 041 718477, fax: +39 041 720851. Across the Grand Canal from Santa Lucia Train Station. Located in a quiet Calle. Double rooms are usually €100-160 depending on season. Hotel Becher, San Marco 1857, ☎ +39 041-5221253, fax: +39 041-5212685. This 18th-century hotel enhanced by the most modern amenities, charming atmosphere and impeccable service. Single rooms from €70, doubles €110 and triples from €170. Belle Arti Hotel Venice, Dorsoduro 912/A, ☎ +39 041 5226230, fax: +39 041 5280043. Elegant three-star hotel. 67 guestrooms divided in double, triple and quadruple with en suite services, bathroom kit and modern services. Double €220. Breakfast included for those who book online. Hotel Belle Epoque, Lista Di Spagna, Cannaregio 127/128 (close to the train station), ☎ +39 041 240004, fax: +39 041 2750159. Rooms start from €90 all the way up to €200. Hotel Cà D'Oro, Calle delle Rasse, Castello 4604, ☎ +39 041 2411212, fax: +39 041 2414385. 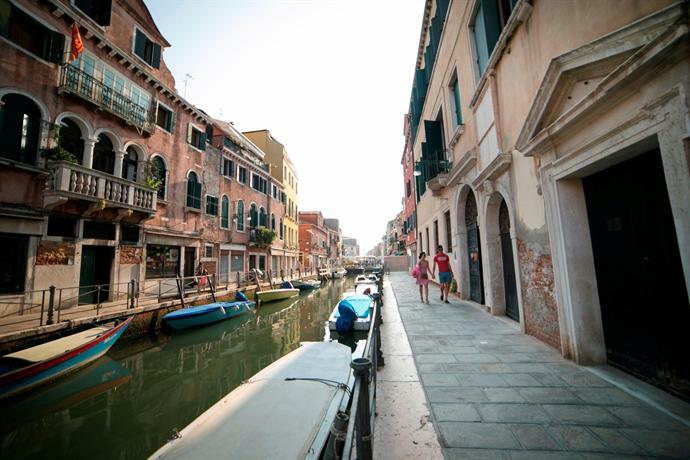 The hotel is in a quiet corner of Cannaregio district, 5 minutes walk from the Rialto Bridge. Singles from €60, doubles from €80. Hotel Canaletto Venice, Castello 5487, ☎ +39 041 52 20 518, fax: +39 041 52 29 023. Along a scenic canal close to St. Mark’s Basilica. Decorated and furnished in the traditional Venetian manner, this hotel offers excellent service and rooms for two that start at around €110. Hotel Continental, Lista di Spagna, Cannaregio 166, ☎ +39 041-715122, fax: +39 041-5242432. Right on the Canal Grande. Single rooms from €93, doubles from €155 and triples from €194 including taxes and breakfast. Hotel Commercio e Pellegrino, Calle delle Rasse, Castello 4551/A, ☎ +39 041 5207922, fax: +39 041 5225016. Comfortable hotel in the centre, easy to reach by public transport and 2 minutes on foot to Saint Mark’s Square. Single rooms from €80, doubles from €100 including taxes and breakfast. Hotel Doge Venice, Lista Vecchia dei Bari, Santa Croce 1222, ☎ +39 041 2448752, fax: +39 041 5242192. Three-star accommodation of Venice. It is in the northern part of the city, in front of the train station and presents 10 bedrooms – single, double and twin, some with a shared bathroom - and one apartment. Double rooms start from €57. Family apartment for three people €97. Hotel Firenze Venice, San Marco 1490, ☎ +39 041 5222858, fax: +39 041 5202668, e-mail: info@hotel‑firenze.com. On a side street of Piazza San Marco, and offers bright and comfortable rooms. Rooms start at around €120 a double/twin. Hotel il Mercante di Venezia, Calle della Misericordia, Cannaregio 379-381, ☎ +39 041 2759290, fax: +39 041 2759294. Just off the Lista di Spagna by the Grand Canal, excellent access to the Station (Santa Lucia) and the waterbuses. Delicately appointed rooms from around €145. Hotel Lisbona Venice, San Marco 2153, ☎ +39 041 5286774, fax: +39 041 5207061. Just in front of Piazza San Marco, three star rooms decorated in the grand Venetian style. Double rooms are usually around €140. Hotel Marconi Venice, Riva del Vin, San Paolo 729, ☎ +39 041 52 22 068, fax: +39 041 52 29 700. 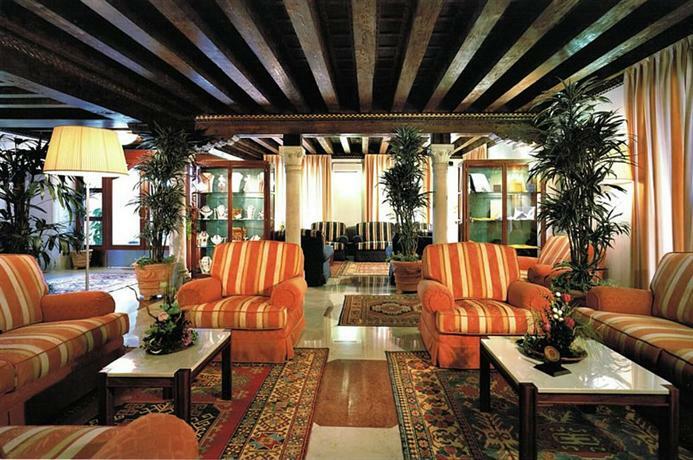 The hotel overlooks the Grand Canal and famous Rialto Bridge. It has been a hotel since the 1930 and has a very interesting art deco style, with rooms going for around €150, or for a little more with a canal view. Hotel Montecarlo Venice, Calle degli Specchieri, San Marco 463, ☎ +39 041 5207144, fax: +39 041 5207789. 3-star superior rooms and services one hundred yards from the entrance to Basilica San Marco. Rooms start at around €130 a double. Hotel Nazionale Venice, Lista di Spagna, Cannaregio 158, ☎ +39 041 716133, fax: +39 041 715318. Three-star accommodation with 90 bedrooms divided in single, double, twin, triple and family, 100 metres away from the train station of Santa Lucia. €80 for a single and €160 for a family. Hotel Palazzo Guardi, Dorsoduro 995, ☎ +39 041 2960725, fax: +39 041 7241067. A stone's throw from the Accademia, is this noble Venetian palace, rooms equipped with all comforts. Double room from €80. Hotel San Giorgio, Rio Terà della Mandola, San Marco 3781, ☎ +39 041 5235835, fax: +39 041 5228072. The hotel is between Campo Sant'Angelo and Campo Manin in an antique Gothic palace bought by Mariano Fortuny. Single rooms from €60, doubles from €90, triples from €120. Hotel San Moise Venice, San Marco 2058, ☎ +39 041 5203755, fax: +39 041 5210670. 3-star hotel behind Piazza San Marco and the Basilica. Starting in the region of €120-140 for a double room. Hotel Tiepolo, Castello 4510, ☎ +39 041 5232415, fax: +39 041-5208222. Small and elegant design hotel in the historic centre, a few steps away from Saint Mark's Square. Doubles from around €200. Hotel Violino D'Oro, Via XXII Marzo, San Marco 2091, ☎ +39 041 2770841, fax: +39 041 2771001. Venetian style. Single rooms from €40, double from €70. Locanda Orseolo. A 3-minute walk from St. Peter's Square, operated by a multi-lingual Venetian family who offer impeccable concierge service. Room rates are generally €150 to €200. Pagan Luxury House, San Marco 3268, ☎ +39 041-2960584, fax: +39 041-5236218, e-mail: info@capagan.com. According to their website, there is a €10 per night discount for booking directly with them. Double room from €120. Residenza Cà Bauta, Castello 6457, ☎ +39 041 2413787, fax: +39 041 5212313. Few steps from Campo ss. Giovanni e Paolo, one of the most spectacular place of Venice. Double rooms are usually around €100-160 depending on season. Residenza Cá Malipiero Venice, Castello 4852 (Santa Maria Formosa district, behind the Ponte dei Sospiri bridge and St Mark’s Square), ☎ +39 041 2770939, fax: +39 041 5289845. An historic building of the 16th century with a large selection of elegant single, double rooms and suites, capable to host up to four people and equipped with the best modern services expected by a three-star guest house. Rates start from €110. Hotel Flora, San Marzo 2283/A (behind Saint Mark's Square), ☎ +39 041 5205844, e-mail: info@hotelflora.it. Garden, free Wi-Fi, homemade buffet breakfast, fitness centre. Rates start from €120. Novecento Boutique Hotel, San Marco 2683/84 (Calle del Dose, off Campo San Maurizio, between St. Mark's Square and the Accademia Gallery), ☎ +39 041 2413765. Has 9 rooms featuring original furniture and tapestries from both the Mediterranean and the Far East. Rates start from €120. 4 Palazzo Cendon - Il Piano Nobile, Call Cendon, Cannaregio 532 (From the train station turn left before Ponte delle Guglie), ☎ +39 041 2750606. Nice small hotel in good area with a few restaurants and bars. €130. Hotel Giudecca, Corte Ferrando 409/C, ☎ +39 041 2960168. Hotel Ca' Zusto, Campo Rielo, Santa Croce 1358, ☎ +39 041 5242991. Carnival Palace, Cannaregio 929, ☎ +39 041 2440320, fax: +39 041 2759358, e-mail: info@carnivalpalace.com. Double room from €100 per night. 5 Bellevue Suites, San Marco 899, ☎ +39 041 5287245, fax: +39 041 5205084, e-mail: info@bellevuesuitesvenice.com. Double room from €160 per night. Palazzina Grassi Hotel, San Marco 3247, ☎ +39 041 5284644, e-mail: info@palazzinag.com. First Italian hotel designed by Philippe Starck, the only one in Venice. In the centre, near the Basilica dei Santi Giovanni e Paolo. Saint Mark's Square is a short walk away. Rooms from €295. Duodo Palace Hotel, San Marco 1887 (In the historic centre), ☎ +39 041 5203329, fax: +39 041 2415940, e-mail: info@duodopalacehotel.com. Four-star luxury hotel. Doubles from €140. Hotel Al Codega, Corte del Forno Vecchio, San Marco 4435, ☎ +39 041 2413288, fax: +39 041 2414621. In a picturesque little ‘cortile’ (courtyard), which is a short walk from Piazza San Marco. From €200-300. Hotel Ca' dei Conti, Castello 4429, ☎ +39 041-2770500, fax: +39 041-2770727. A building dating back to the 18th century, just a stroll from St. Mark's Square. Room rates start from €155 for a double single use, €200 for a double room, €320 for a suite. Hotel Carlton Grand Canal, Fondamenta S.Pantalon, Santa Croce 578, ☎ +39 041 2752200, fax: +39 041 2752250. The hotel overlooks the Grand Canal. Room rates start from €120 (depending on the season). Hotel Ca' Vendramin, Cannaregio 2400, ☎ +39 041-2750125, fax: +39 041-2750543. In the centre, this hotel showcases original frescoes, fine fabric and Murano glass chandeliers which define a unique atmosphere, in pure Venetian style. Double classic from €160 and junior suite from €260. Hotel Dei Dragomanni, Calle del Dose da Ponte, San Marco 2711, ☎ +39 041 2771300, fax: +39 041 2778984. 4-star hotel in an ancient Venetian palazzo. Double room from €155. Hotel Giorgione, Calle Larga dei Proverbi, Cannaregio 4587, ☎ +39 041-5225810, fax: +39 041-5239092. In the centre, 10 minutes from Piazza San Marco, it was transformed into a hotel at the beginning of the 19th century and has been managed by the same family ever since. Singles from €105, Doubles from €150. 6 Hotel Bauer (Il Palazzo Venezia), San Marco 1459 (In the street from San Marco Square to Ponte dell'Accademia), ☎ +39 041 5207022, fax: +39 041-5239092, e-mail: info@bauervenezia.com. Five-star luxury hotel along the Grand Canal riverside with bars and restaurants Double from €279 to €15,010. Hotel Rialto, Riva del Ferro/Ponte di Rialto, San Marco 5149. Four star hotel at the foot of the Rialto Bridge, in the centre of all. Room rates start from €160 for a double room, the hotel has 79 rooms in total, 28 of which are overlooking the Grand Canal. 7 Hotel Royal San Marco, San Marco 848, ☎ +39 041-5287665, fax: +39 041-5226628, e-mail: royalsanmarco@sanmarcohotels.com. From €100 to €350 per room, including breakfast. Corte di Gabriela, Calle Avvocati, 3836, ☎ +39 041-5235077, e-mail: info@cortedigabriela.com. Corte di Gabriela is a 4-star boutique hotel in Venice in an elegant nineteenth-century building, overlooking the canals of the San Marco district. It has a few suites, each different from the others. Double room from 270€ per night. Venice has several internet cafes, but they are much more expensive than the rest of Europe with prices for an hour of access around €6. Wi-Fi is only available at some of them. There's a wonderful pub, Cafe Blue in Dorsoduro, which has free (password-protected) wi-fi. Buy a spritz and a panini and go to town. At the Telecom Italia Future Centre in Campo San Salvatore (San Marco) you can browse for free for one hour, once registered with your ID card. The city has been steadily building out the municipal Wi-Fi network, which now covers almost the entire area around the Grand Canal and some of the larger squares in the center. You can buy guest access at approximately €5 per day at the same unified Venezia Unica site where the transport and museum passes are sold. Calle Delle Botteghe San Marco 2970 Venezia. A very pretty art gallery type internet cafe with a book shop. It is on the expensive side with €3 for 15 min but you can just go in and play chess with a glass of wine. Chemists' shops (Italian: Farmacie) are all around the town. They are open 24 hr a day, 7 days a week on a rotational basis: outside the shop there's always the list of operating ones with time-table, address and phone number. If you need a special drug you might be asked to book it in advance if it's not in common use. Note that the commercial name or brand of your prescription might differ from your country of origin, and make sure that the medication you want is available in the EU. The unfortunate side-effect of the quaint back-alleys which make Venice such a delight to visit is that it is remarkably easy to get lost. Even maps provided by hotels are frequently inaccurate, and the maze-like structure of the city can become very confusing indeed. The tight cluster of little islands that comprise Venice is completely surrounded by the Lagoon, so it is not possible, no matter how lost you become, to leave Venice on foot. Sooner or later you will come upon a piazza that you can locate on your map. While Venice may not get more tourists than other famous Italian destinations as Rome or Florence, the narrowness of streets and open areas may at times make Venice feel uncomfortably crowded during (but not only) the peak seasons, at the San Marco sestiere, the surroundings of the Rialto bridge and the streets leading from Venezia Santa Lucia and Piazzale Roma to San Marco. Walking by itself can be difficult, let aside snapping a good photo, using a public restroom, or sitting at a decent cafe or restaurant. To avoid the worst of the crowds, unless it is Winter, try to visit the San Marco and Rialto bridge areas during early morning and late evening. During the late morning and afternoon, stay away as far as possible from this area, for instance walking around west Santa Croce, north Canarregio, eastern Castello and Giudecca. Alternatively, take day trips to places outside central Venice such as Burano, the Lido, Padua or Vicenza, or simply take the opportunity to refresh in your hotel. Most of the consulates listed here are only honorary consulates, so can only offer limited consular services. If you need any serious help, try visiting Milan, where larger consulates can be sometimes be found; however, it will usually be easier to visit the Italian capital, Rome, where most countries' embassies are found. Australia, Via della Libertà, 12, ☎ +39 041 5093061, e-mail: mc@castelbrando.it. Austria, Santa Croce, 251, ☎ +39 041 5240556, e-mail: consolato.austria@zoppas.com. Belgium, Dorsoduro, 3464, ☎ +39 041 5242944, e-mail: piero.reis@sgpaa.lu. 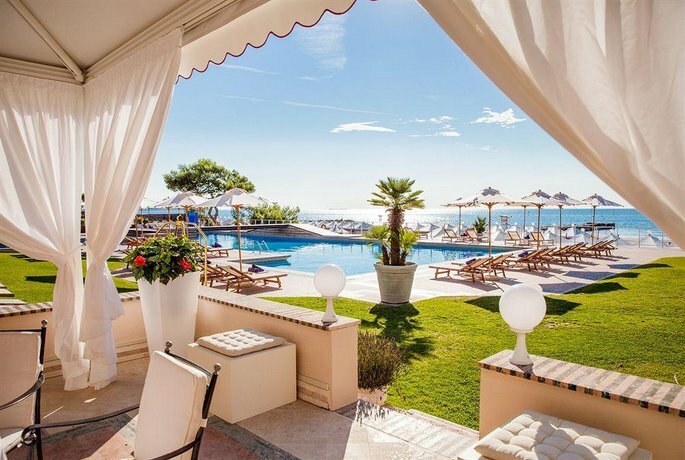 Czech Republic, Canareggio, 3821, ☎ +39 041 2413984, e-mail: venice@honorary.mzv.cz. Denmark, Santa Croce, 466/g, ☎ +39 041 2413984, e-mail: covedk@hotmail.com. Finland, Rio dei Scudi 2654/A, ☎ +39 347 1245016, e-mail: finland.consulate.venice@gmail.com. France, Castello, 6140, ☎ +39 041 5224319, e-mail: cfvenise@yahoo.fr. Germany, Santa Croce, 251, ☎ +39 041 5237675, e-mail: venedig@hk-diplo.de. Greece, Castello 4683/C, ☎ +39 041 5237260, e-mail: grcon.ven@mfa.gr. Lithuania, Santa Croce, 764, ☎ +39 041 5241131, e-mail: info@consolatodilituania.venezia.it. Luxembourg, Castello, 5312, ☎ +39 041 5222047, e-mail: conslux@fastwebnet.it. Malta, Piazzale l.da Vinci, 8, Mestre, ☎ +39 041 3969100, e-mail: maltaconsul.venice@gov.mt. Mexico, Santa Marta , Fabbricato, 17, ☎ +39 041 2712642, e-mail: consuladodemexico.venecia@service.net. Monaco, San Polo. 747, ☎ +39 041 5223772, e-mail: consmonaco.venise@tin.it. Netherlands, San Marco, 2888, ☎ +39 041 5283416, e-mail: cons.paesibassi.ve@libero.it. Norway, Santa Croce, 466/b, ☎ +39 041 5231345, e-mail: consolato.norvegia.ve@longanesicattani.it. Portugal, San Marco, 1747, ☎ +39 041 5223446, e-mail: perchidoni@yahoo.it. Russia, San Marco, 4718/a, ☎ +39 04 12418879. Spain, San Polo, 2646, ☎ +39 041 5233254. Sweden, Sestiere Cannaregio 166, ☎ +39 041 5225489, e-mail: consolato.svezia.venezia@gmail.com. Switzerland, Dorsoduro, 810, ☎ +39 041 5225996, e-mail: venezia@honrep.ch. Turkey, Santa Marta, Fabbricato 17, ☎ +39 041 5230707, e-mail: consolatoturchia@bassani.it. United States, Venice Marco Polo Airport, Via Galileo Galilei, 30, ☎ +39 041 5415944, e-mail: USCitizensVenice@state.gov. Around the Venetian lagoon are other smaller islands, which have since been deserted but are worth a visit. There is also the Lido, which is a long narrow island with more modern buildings, hosting a youth hostel and a hotel. Burano — Island famous for lace, textiles and colorfully painted houses. Lido — The island of tranquility, a beach district 10 minutes by boat from San Marco, and where the Venice movie festival is held. Mestre — Town in the mainland, but still a part of Venice. Murano — Nearby island famous for its glassware. San Lazzaro — Nearby island with Armenian monastery and impressive art collection, some world class pieces. Torcello — Nearby island with a 7th-century basilica church and an archeological museum. Riviera del Brenta — Palladian villas around Brenta River, 20 minutes from Venice by car, or you can get there via biking tours with a local bike hire shop. Lake Garda — An easy day trip by train, it is Italy's largest lake and stunning in scenery. Po Delta — Peaceful and scenic marshy area southwest of Venice with bike trails. Eraclea — Typical for its pinewood and Laguna del Mort, 55 minutes from Venice by car or by boat. Jesolo — Jesolo is one of the most important beaches in Italy, just 45 minutes from Venice by car or by boat (ferry from Treporti to Venice). Padua (It. Padova) — 40 km west of Venice, home to the Basilica of St. Anthony, the Scrovegni Chapel, and the oldest Botanical Gardens in the world, among others. Cortina d'Ampezzo — Lovely alpine town, site of 1956 Winter Olympic Games. Great mountain scenery, might be very expensive. A couple of hours of car ride to the north of Venice, more than 3 hours by train and bus.